One of the many things that delight me on warm sunny days is the moment I crack open a cold, thirst quenching bottle of white wine, preferably out on a veranda or beach. The way it refreshes and revives my spirit is like daybreak itself. Or a walk in a spring flower garden. Or a tantalizing dip in the cool waters of a favorite lake or sea. Simple pleasures, for sure. If anyone ever asks you about the meaning of life, you tell them that. It’s all about simple pleasures. And being kind to each other…. Back to wine. There are of course so many delicious bottles from which to choose. Such multitudes in fact that I can never adequately answer that oft-asked (and maddening) question: What is your favorite? Preferences abound for sure, from earthy reds to cheeky rosés to funky orange wines. But when the sultry days of summer strike, white cold n’ crispy is how I like them. Albariño, Chablis, chenin blanc, dry riesling, Sancerre, Santorini, and Vinho Verde are all companions who chill with me on boozy flip-flop days. Yet in life there are casual friends who pop in and out of your life, perhaps bringing zippy moments of pleasure, fun and good times. More often than not they are unremarkable encounters that leave no lasting mark. For instance that certain $9 bottle I consumed a few evenings ago. What was it again? Then there are dear old friends. The proverbial best buds and soul mates. Stalwart bonds that endure through thick and thin in the intimate places of your heart and mind, even when communication and visitations are missed for long periods of time. 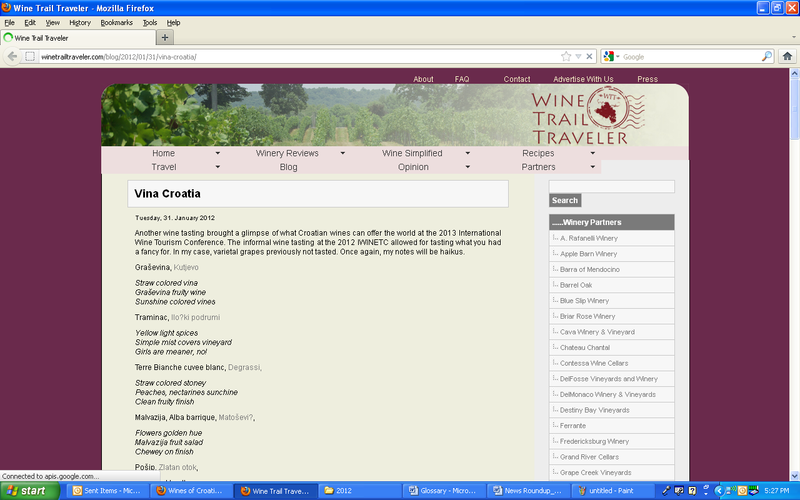 Among these old friends I count many Croatian wines. Together we share a sweet history, know each others’ secrets, our moments of silliness and celebration, sadness and humiliation. Side-by-side we’ve experienced triumph and failure, been inspired to laughter and dance, been comforted in tears and heartbreak. And we go on loving each other even when times are tough and bottles get broken. One of these darlings is malvazija istarska – or malvasia istriana. Like albariño is to the seaside shores of Galicia in Spain, malvazija is the signature white wine of Istria, an axe-shaped peninsula that slices into the Adriatic Sea along Croatia’s northern coast. Here malvazija vineyards stand like sentinels not far from the rugged, salty shore and then majestically rise up the pastoral highlands of the interior, where they thrive alongside acacia trees, olive groves, and truffle oak forests in the region’s patchwork of red, white, brown and grey soils – each to subtly different effect. 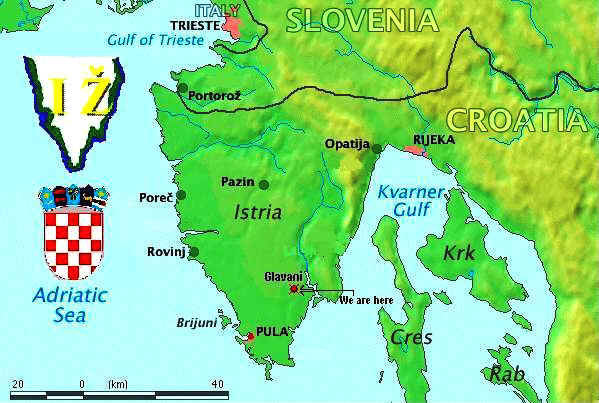 Despite the name that would place the variety among the branches of the very large malvasia bianca family tree, malvazija istarska is specific to Istria, although the variety can also be found in the neighboring Koper appellation in Slovenia, as well as in the Friuli-Venezia Giulia area of Italy. 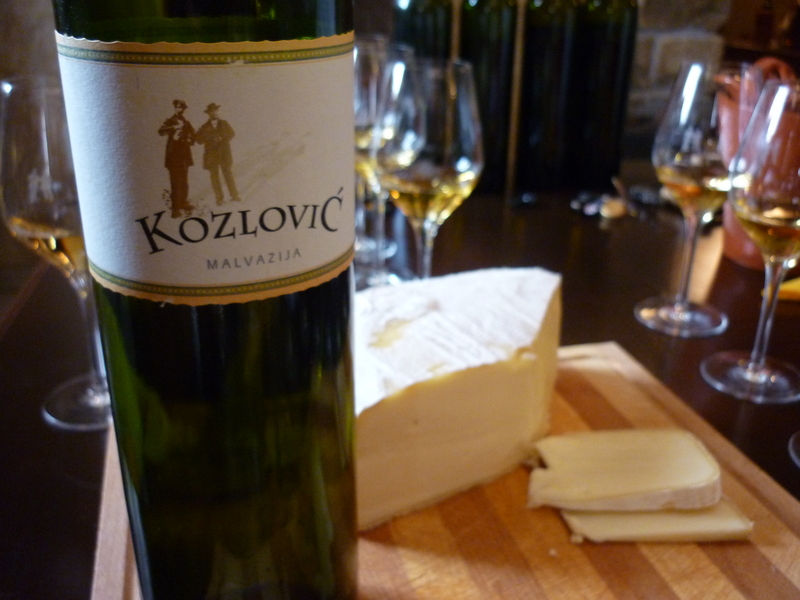 Malvazija ranks as Croatia’s second most planted wine grape variety. 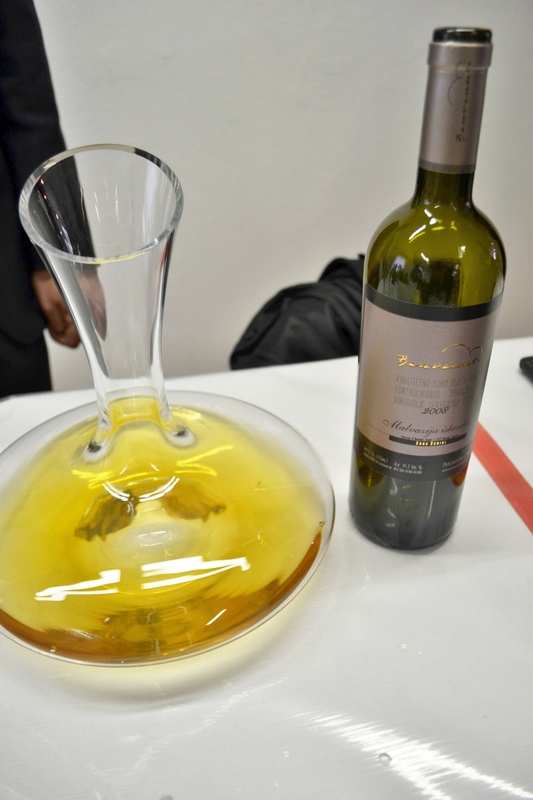 Because it has a tendency to over crop, malvazija can yield insipid, uninteresting wines (as was the case for many years during the era of Socialsim). Drought or extreme heat can quickly cause the delicate fruit flavors to mute, sugars to spike and acids to drop, leading to one-dimensional swill best suited for bulk sale or distillation. But when the weather is right, vineyard management techniques hit the mark, and the terroir tenders its sweet spot, something magical and mystical happens (see Matošević ‘s Magical Mystical Tour of the James Beard House), and malvazija reveals its many charms and depths. Often referred to as liquid gold (although some would rightfully argue that the excellent local olive oils share that distinction), malvazija is Istria’s pride and joy, its medal champion, and best hope for international recognition from global wine lovers and foodies. 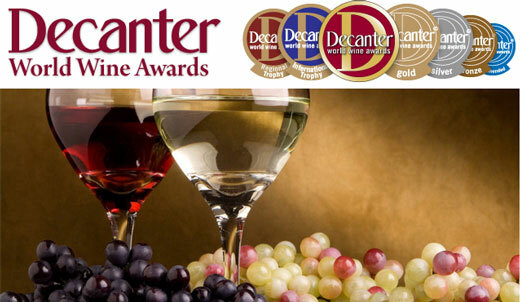 No surprise then that a single vineyard malvazija from Kozlović won Gold and Trophy awards at the 2013 International Wine Challenge, and eight single-varietal malvazija istarska wines from Croatia won medals at the 2013 Decanter World Wine Awards. 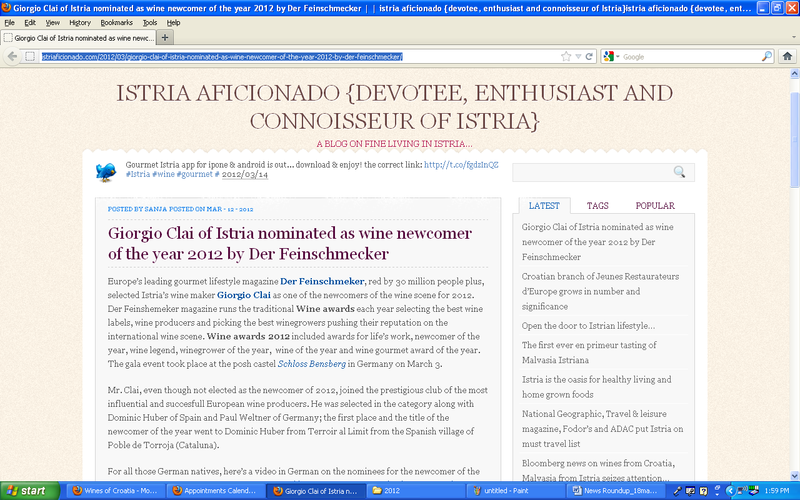 In a recent article for the Croatian press, the American food and wine writing duo Jeff Jenssen and Mike DiSimone (aka the World Wine Guys) asserted that the world is ready for malvazija; that the time has come for Istria’s flagship wine to join the ranks of the fabulous and the famous. That the Istrians are ready for the world is undisputed. 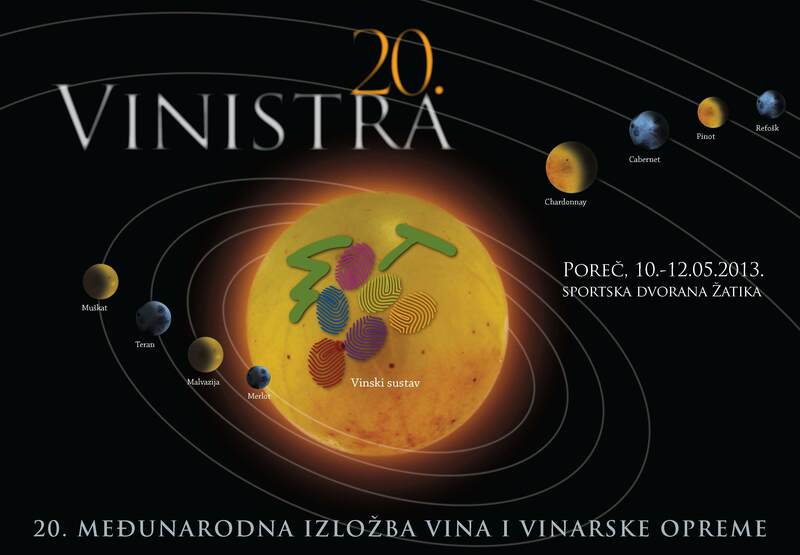 With their own successful technical assistance and marketing association established in 1995, Vinistra, an annual World of Malvazija competition and wine expo, an “Istrian Quality” label designation program for top wines, and a legion of young, talented, innovative and enthusiastic winemakers, it seems inevitable that Istria and malvazija will soon take their rightful places among the stars. However, Dimitri Brečević, a 34-year old French-Croatian who studied winemaking in Bordeaux before moving to Istria in 2004 to start his own winery and successful Piquentum label, feels that malvazija – as good as it is now – still hides its full potential. “I would say that we still have a lot of work to do,” he says. “We have to work a lot on vinification to adapt more to this variety, but also we have to learn more about our terroir – particularly the red soils”. 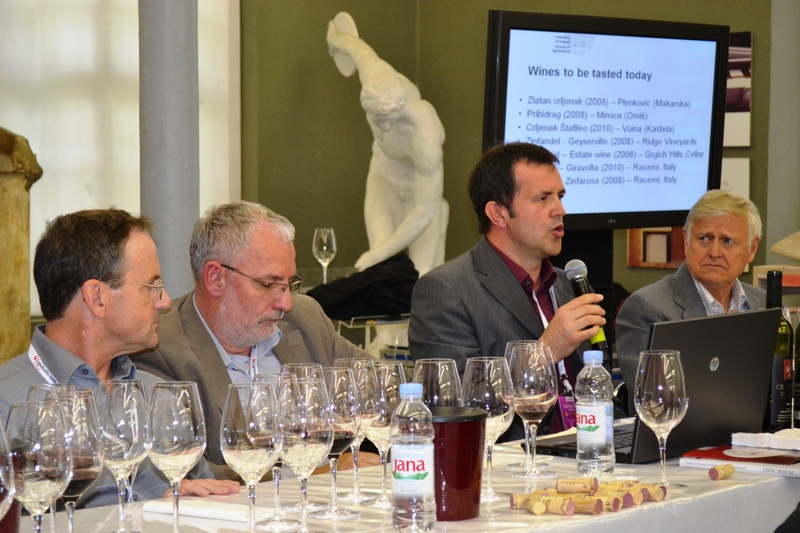 Brečević also wonders about the potential benefits of blending malvazija with other varieties. “But which one?” he muses. “I am not so sure about chardonnay. I would prefer an old local variety. But we are still working on that. All this research is the price to pay if we want to improve quality and reach world class status”. When seeking out a malvazija wine a buyer should be aware that styles range from young and fresh to French or Slavonian oak or acacia wood-aged versions, to high alcohol extended skin maceration “orange” wines from producers such as Clai, Kabola, and Roxanich that are cult favorites among some consumers (reportedly these wines pair wonderfully with cigars, a subject advocated each year during a special “Habanos Moments” session at Vinistra). Sparkling malvazija wines are also bottled by a handful of producers, most notably one of Croatia’s leading female winemakers, Ana Peršurić. 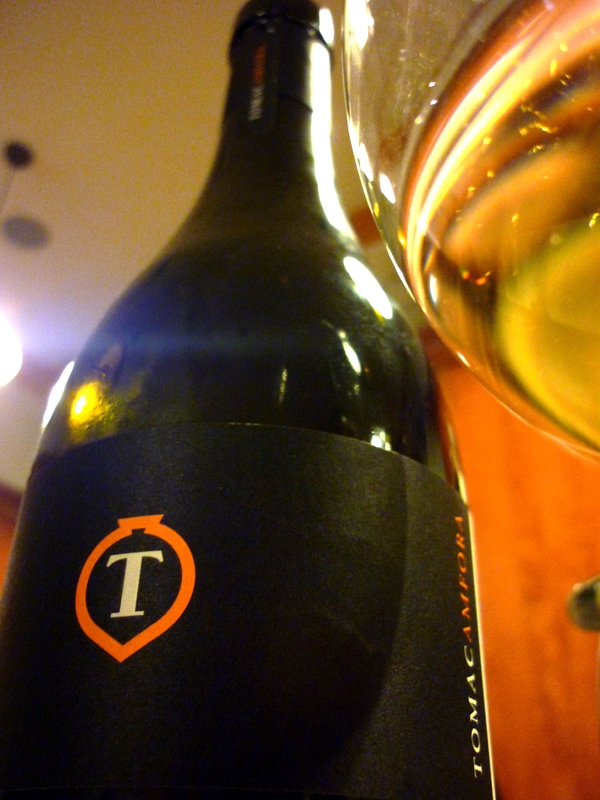 However, most malvazija produced in Istria is the straight-forward, early-drinking, food-friendly “naked” style that is zesty, moderately alcoholic, sometimes effervescent, and slightly bitter with subdued fruit (apple, apricot), raw almond and acacia flower floral notes, and – in good vintages – distinctly saline and mineral-driven. In other words, perfect alongside summery seafood fare. 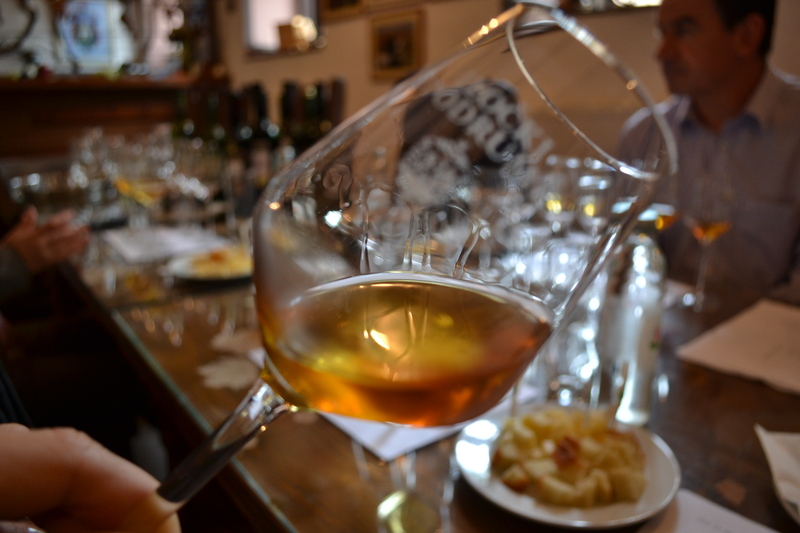 If all of this makes you curious and thirsty, let’s get to the whole point of this article: Ready or not, Istrian malvazija is already available in many markets around the world. 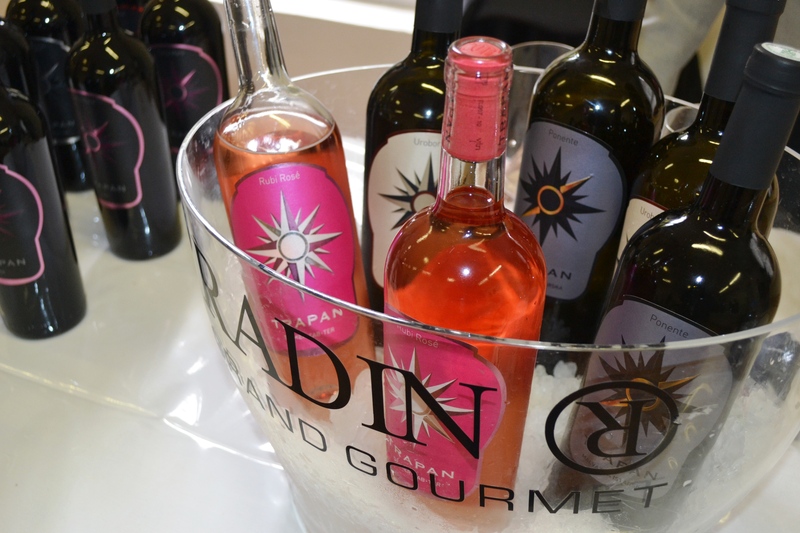 In the U.S. consumers have access to nearly 10 different labels, including Bastianich Adriatico, Cattunar, Clai, Coronica, Kozlović, Matosević, Piquentum, Saints Hills (blended with Chardonnay), Terzolo, and Trapan. 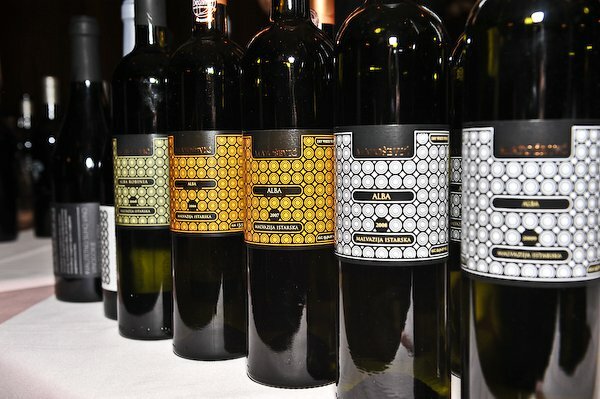 In the U.K., Pacta Connect offers a number of delicious malvazija wines in its portfolio, including Cattunar, Clai, Gerzinić, Piquentum, and Peršurić. 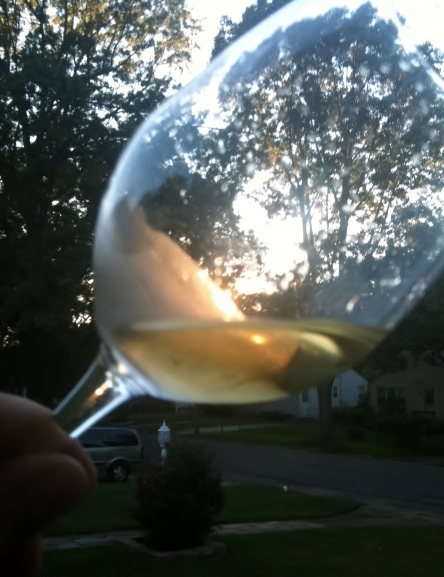 With the waning days of summer in mind, recently I gathered a few old friends (of the human kind and the malvazija kind) for a soirée of sipping, swirling and pontificating. The bottles were chosen at random based on what I could get my hands on; some are imported to the U.S., others extracted from my private cellar. Below are some notes that I managed to remember. When drinking malvazija – or any wine – please don’t get bogged down by lofty descriptors and 100-point assessments. Wine deserves better than that. But do sit back, kick up your bare feet, raise your glass and take a sip, and enjoy what the wine has to offer, the stories it has to tell, the memories or images it evokes, and the songs it may sing for you. In the end, perhaps a few of these beauties will become your friends too. And friends of your friends. And friends of their friends. Before you know it, it’s a party. So let us go forth as denizens and disciples of the finer things in life, singing and shouting out proclamations of love with mouthfuls of malvazija. Because it’s delicious. And because it’s the next Big Thing – or should be. Creamy and viscous with a soft yet zesty attack and talcum powder mineral presence, all rounded out with essence of apricot, golden apple, and citrus blossom. 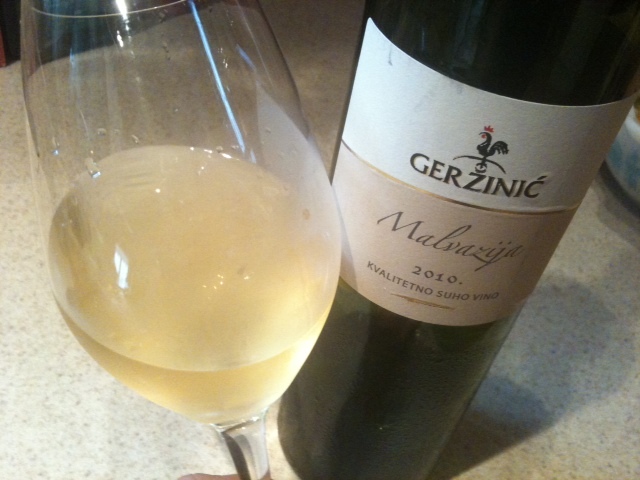 Simple style yet pleasant example of white soil malvazija. Tight, steely and chock full of minerals, this is not malvazija for the masses. Elusive citrus notes wrap around a structured mineral core, surrounded by an aura of blazing acidity. Not for the feint of heart or sufferers of acid reflux. But if you love this style, pair it with grilled sardines, linguini with clam sauce, or raw oysters and you will be very happy indeed. The most aromatic and tropical of the lot. Loads of stone fruit with a hint of gooseberry and orange blossom. Nicely structured with a long finish. Leesy and elegant, with notes of Bosc pear, Golden Delicious apple, and honeysuckle. Smooth and refined on the palate, with soft acids, a chalky mineral presence, and a satisfying finish. Clean, crisp and taught with pear fruit and dusty straw followed by a bitter almond finish. A benchmark malvazija – and a great value. Fermented in small oak barrels and blended with a small amount of Chardonnay. Creamy yet vibrant on the palate with rich notes of ripe Bartlett pear, banana, and butter toasted hazelnuts, all supported on a frame of saline minerality. Elegant and sophisticated yet approachable now. Zippy and refreshing with crackling acidity and delicate fruit aromas (citrus; starfruit), pungent green notes of cut grass, fig leaf and herbs with a hint of white acacia flowers. Nicely structured with a sharp mineral core of crushed sea shells and metal ore, finishing up with that distinctive bitter almond bite. Crystalline and refined with delicate, tight notes of dusty pear skins, kaffir lime, apricot, marzipan and acacia flowers. Still young and taught, this is the most polished but perhaps most textbook example of the lot – the closest we’ll come (for now) to mainstream malvazija. This is Part II of our two-part report. For Part I, please click here. 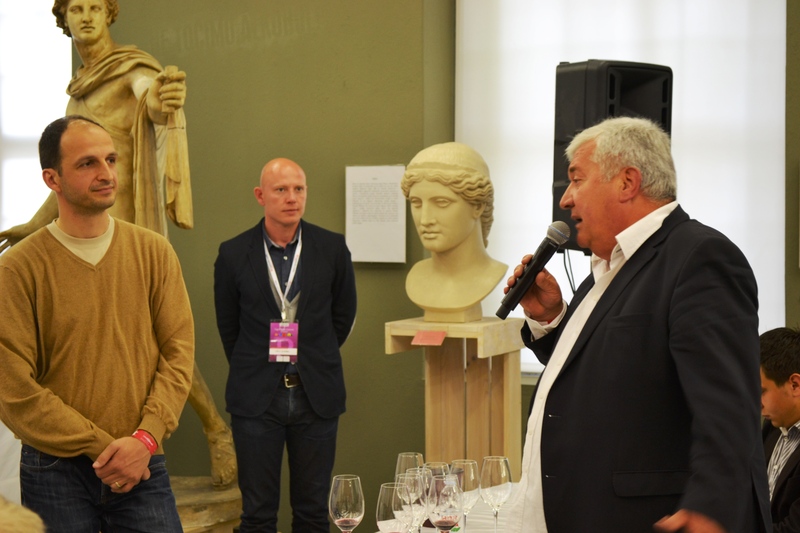 Each year the organizers of the Zagreb Wine Gourmet Weekend (ZWGW) make an ambitious attempt to draw international visitors and VIP guests to the festival. Without doubt this is a wise and positive thing for which to aim. 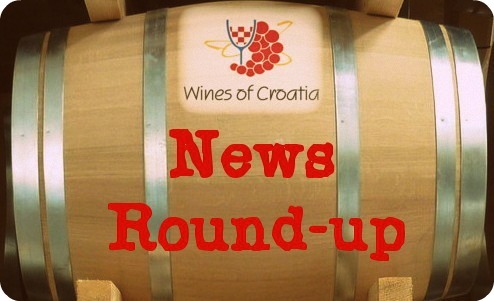 Croatia is an exciting emerging winemaking country and it should be blowing its trumpets and utilizing all its tools and resources to draw attention to its fabulous winemaking history and culture. This year’s lineup was especially exciting, as the guest list included many interesting and important VIPs from the international wine trade and media. Among them, George Taber, author of several wine books, including “Judgment of Paris”; Bernard de Laage de Meux, Commercial Director of Chateau Palmer; Ivo Jeramaz, Vice President of Vineyards & Production in Grgich Hills Winery; Sarah Kemp, Editor of Decanter magazine; Lynn Sherriff, President of the Institute of Masters of Wine; David Gates, Vice President of Ridge Vineyard in Sonoma, CA; as well as the entertaining Flying Culinary Circus, four Norwegian chefs who take catered food service to new heights with fun and innovative performances. Ivo Jeramaz of Grgich Hills conducting a tasting seminar. To choose just a few highlights from ZWGW is nearly impossible. I enjoyed every minute of the festival. Such was the abundance of activities and rich schedule of events that I often found myself torn over which ones to attend. My entire 3-day stay at ZWGW was a whirlwind of dashing from seminars to workshops to tasting tables and then off to panel discusses and back to the tasting room for more swirling and sipping….It’s all a blur now. But a few things do happily stand out in my memory. Rather than point out individual wines that really sang to me (some of these may be revealed in later posts), I think it’s important to note that there were very few bad wines. Technical quality is certainly getting better and better each year. But technically correct wine doesn’t always mean interesting or compelling wine. Oak has been a pervasive and often invasive, overdone fad in Croatia in recent years, especially with certain plavac mali and malvasia istriana wines. 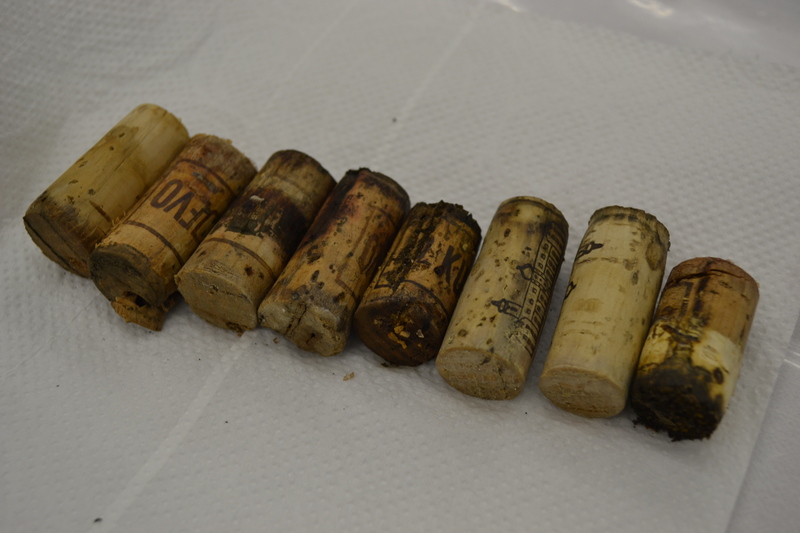 I was happy to see some of the slathered wood tamed and/ or eliminated in some of the wines this time around (although there are still some wines that I think could benefit from less or no wood, or at least being held in cellar longer before release to allow the oak to better integrate; and a small few could benefit from more oak treatment). 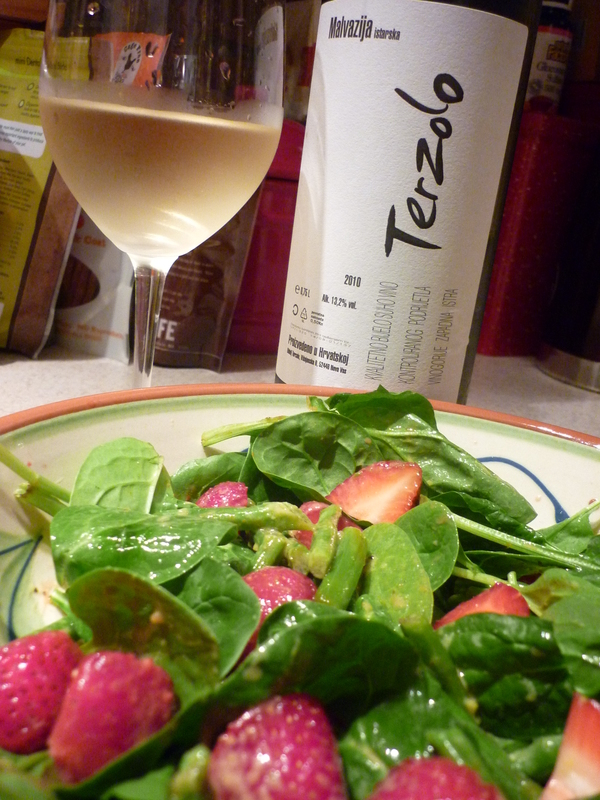 Teran, a red grape variety from the Istria region, continues to demonstrate great potential as an affordable, food-friendly, and terroir-expressive wine that does not need oak to achieve an earthy, animal complexity. While I spent a little time revisiting some old favorite producers (sadly, there were some I missed and regret not seeing), my focus was on wines that I never before tasted, especially those made from native grapes from lesser-known producers. And of course I am always on the look-out for the Holy Grail: those serendipitous wines that reveal true soul, tell a story, and sing a song! On that note, I have to admit that I was disappointed to find no grk or škrlet producers represented, as well as a few key winemakers absent from the fair (e.g., Clai, Matošević, and Roxanich). But overall there was a satiating amount of wine to taste, and it was loads of fun comparing the various different styles of graševina (young & fresh; oaked and cellar aged), malvasia istriana (young & fresh; macerated & developed), and plavac mali (unoaked; field grown grapes; oak aged; single appellation and single vineyard), as well as babić, crljenak kaštelanski, debit, maraština and pošip. 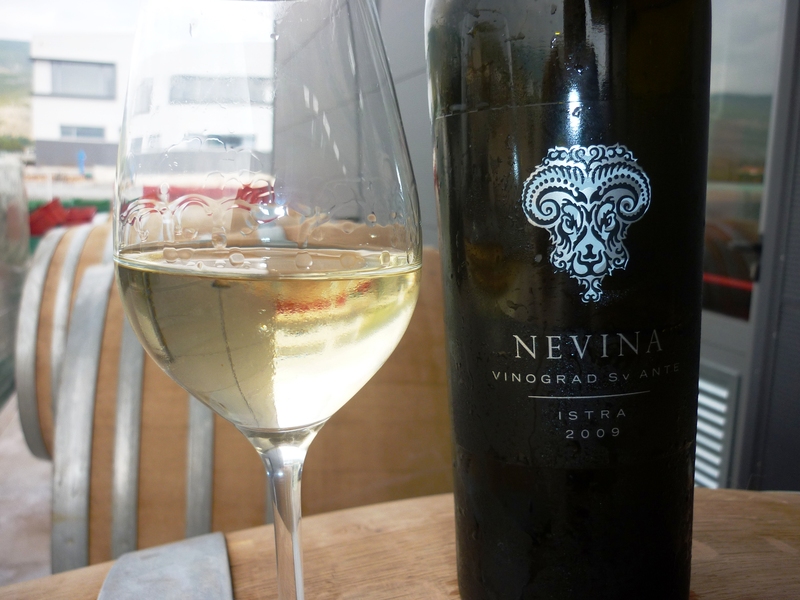 I even discovered a new grape variety: ulovina! 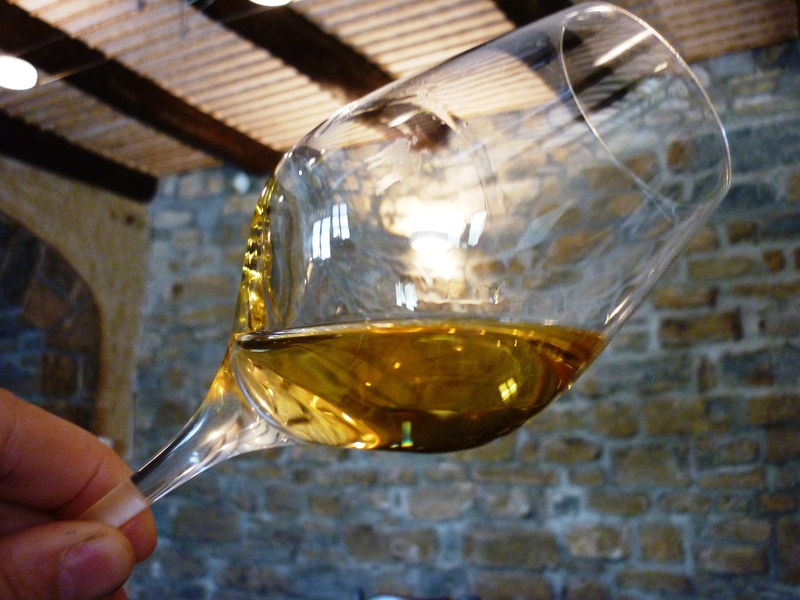 Ulovina is an ancient white variety indigenous to Istria and used as a blending component (along with malvasia istriana and muškat momjanski) in Benvenuti’s sublime “Corona Grande” sweet dessert wine. By now many of us are well aware that the origins of zinfandel trace back to Croatia, and that California zinfandel, Italian primitivo, and Croatian crljenak kaštelanski are all the same grape. However, the opportunity to taste all three of these distinct vins de terroir side by side at one sitting would be a rare and fascinating occasion. Thanks to the ZWGW, the opportunity presented itself at this workshop, one of the truly “do not miss” events in the program. Guiding us through the comparative tasting was a number of key individuals from the world of “ZPC” (zinfandel, primitivo, crljenak): George Taber, author of Judgment of Paris, the now famous account of the 1976 Paris tasting organized by Steven Spurrier that rocked the wine world and put Napa Valley on the map; Ivo Jeramaz, Vice President of Vineyards and Winemaking for Grgich Hills winery in Rutherford, CA (Mike Grgich was the person who first suggested that California zinfandel and the red wines that his father used to make in Croatia were very similar in character, and he was an early supporter of the research that lead to the ZPC discovery); Professor Edi Maletić and Professor Ivan Pejić from the University of Agriculture in Zagreb, two of the leading researchers behind the ZPC discovery; David Gates of Ridge Vineyards, an iconic California producer of single-vineyard zinfandel wines; Gregory Perrucci, an Italian producer of Giravolta Primitivo; and Croatian crljenak producers Zlatan Plenković (Zlatan Otok); Nevin Vuina (Vuina Štafileo); and Nikola Nikša (Mimica) from Kuća sretnog čovjeka. My quick impressions of these expressions of the same grape from three different countries? The Ridge 2008 Geyserville zinfandel was a huge wine, round and richly layered and extracted, viscous and full of black raspberry, plum, licorice and chocolate – a style that is much revered among disciples of zinfandel. The Grgich 2008 was a bit more refined with lighter red fruit and floral notes. The Giravolta 2010 Primitivo was soft and fruity with velvety cherry and raspberry character; a nice wine but quickly forgotten once the crljenaks arrived. 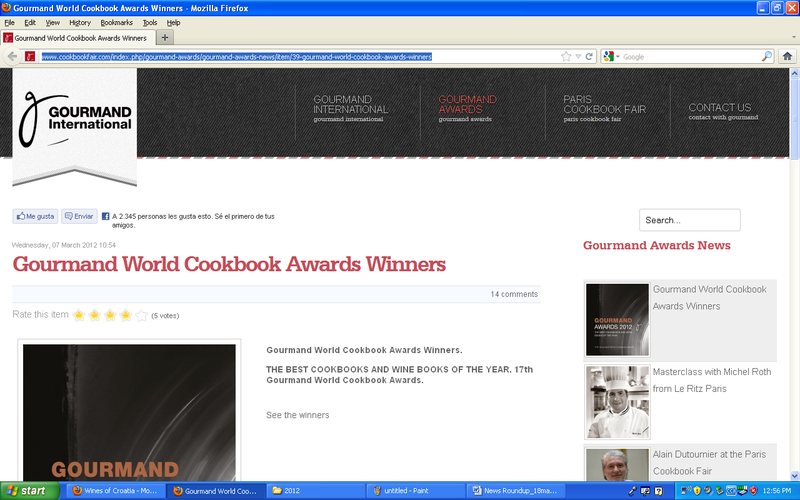 Okay, I know I am a little biased. But the three Croatian crljenak wines really struck my chords and made music with those old familiar notes of dried fig, Adriatic sea salt and roasted herbs, black plum and cherry, accompanied by a little Dalmatian funk. 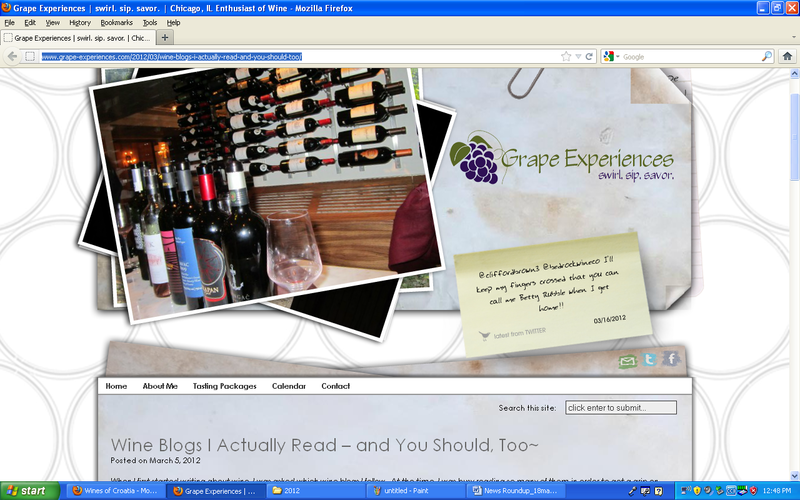 With crljenak in glass, suddenly I did not miss the rich extracts of California zin. The 2008 Zlatan Crljenak was the most extracted and a little too tannic yet still fresh; “rough and rustic” I wrote in my notes. 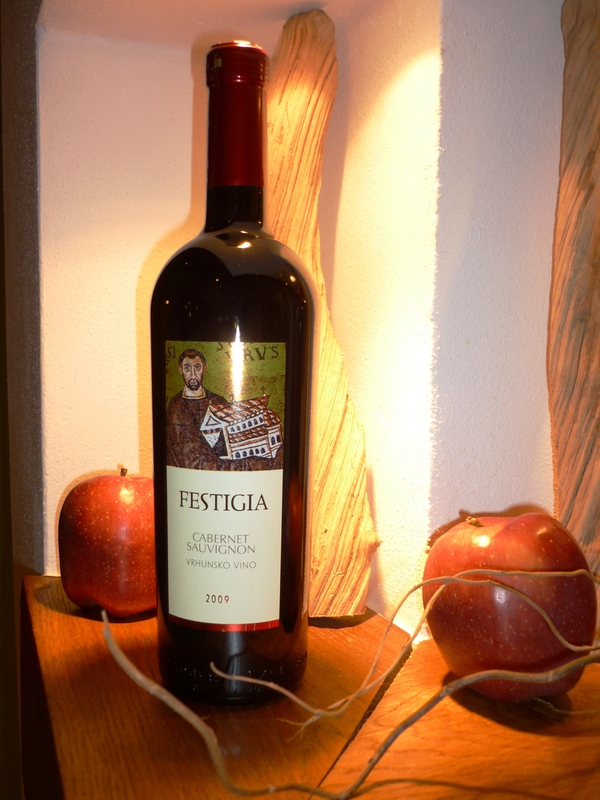 The 2010 Vuina Štafileo Crljenak was too young and closed up but showed refreshing acid and good tannic structure; slightly alcoholic on the nose, it would benefit from some more time in neutral wood. 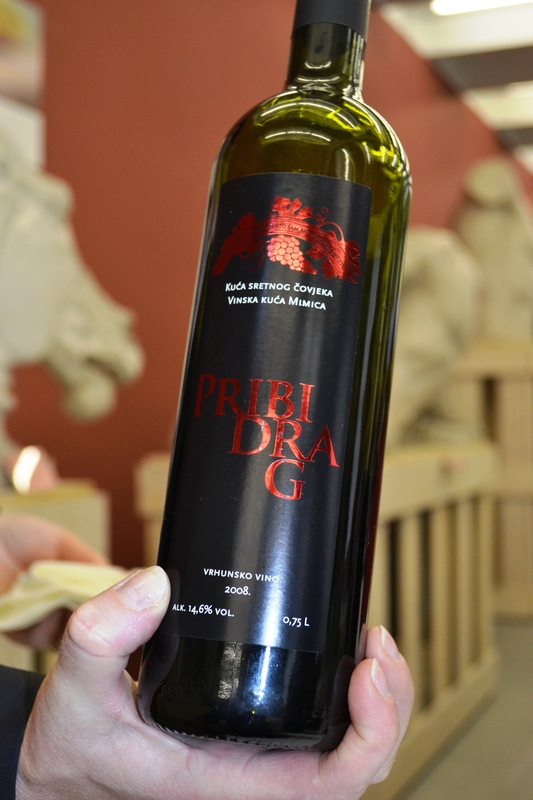 The third wine was my favorite, the Mimica 2008 Pribidrag (aka crljenak) from Kuća sretnog čovjeka – or, in translation, the “House of the Happy Man”. 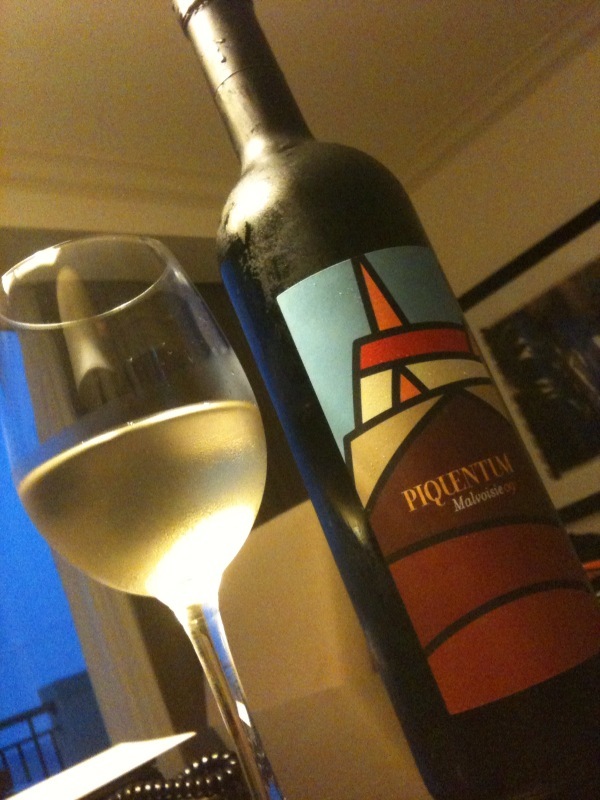 What a great name for a balanced, delicious wine with ripe Dalmatian fruit character and enduring freshness! Indeed I left this tasting a happy man. 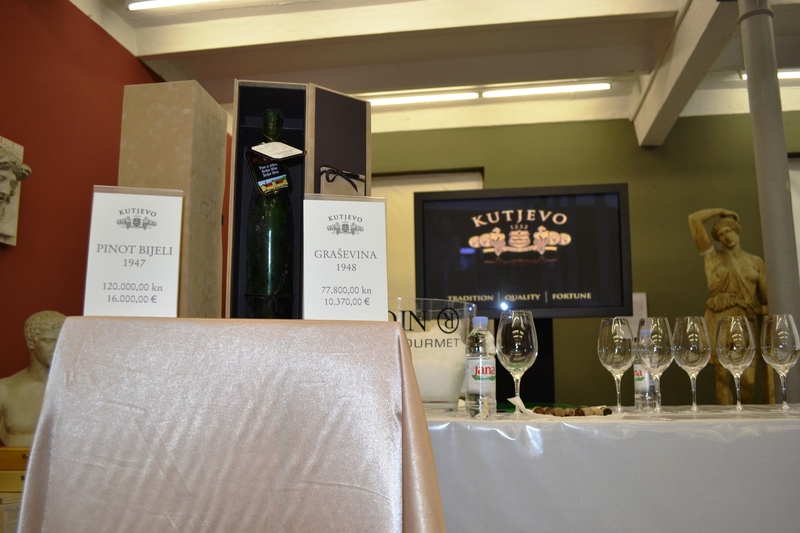 Making me even happier was seeing this event on the schedule: a vertical tasting of graševina wines – vintages 2011, 2010, 1994, 1985, 1970, 1963, 1960 – from Kutjevo winery. To say that this was a rare opportunity to examine the five decade progression of a white wine from Croatia would be imprecise: this was an extraordinary experience during which those of us lucky enough to be there got to taste fifty two years of history in a one hour seating. Even more astounding, graševina is not a variety that is noted for having a noble pedigree or ability for long-term aging. In Croatia and in many other regions along the Danube River basin, graševina (aka welschriesling) is a simple table wine meant for everyday quaffing and even mixing with mineral water to create a summer sipper called “gemišt”. 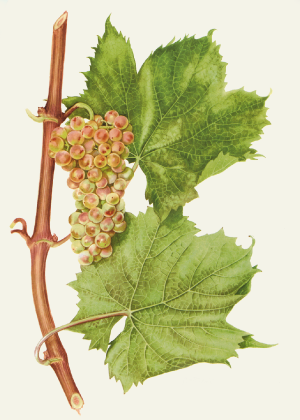 Often a maligned workhorse grape, when not properly managed in the vineyard it can wildly overcrop and produce thin, acidic wines that are sold on tap, in one liter bottles with metal crown caps, or as boxed wine. In better examples, it is normally a 2-3 year wine that expresses apple and tree fruit character, a piquant finish, and refreshing acidity. But here it was, dating all the way back to 1960, getting deeper gold in color as the years retreated beyond my date of birth, evolving along the way into richer, nuttier, honey and candied fruit aromas. 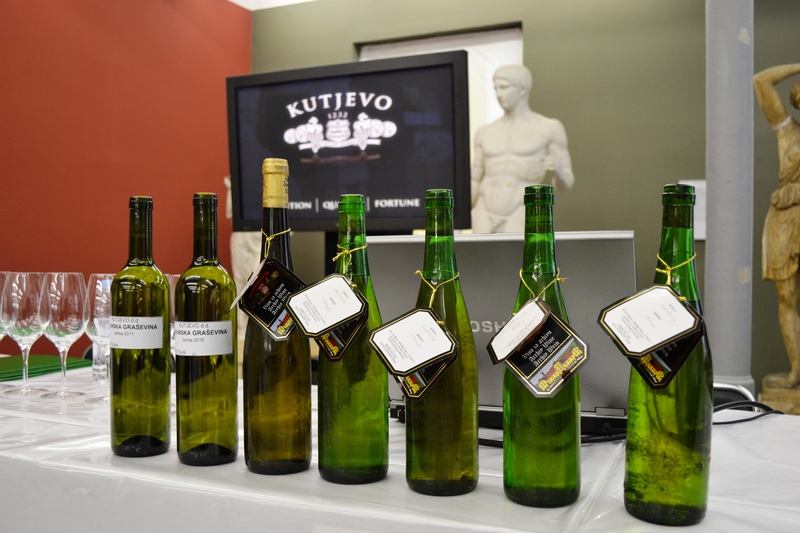 The 2011 from Kutjevo was fresh, lively, and savory with a delicate apple blossom note. At the other end of the spectrum, the 1960 was starting to show signs of being tired and past its glory. But in ensuing years between, magic was brewing. My favorite by far was the 1963. I first tried this “Archive Wine” last year at the winery and was blown away. I cried. Cried from happiness. Overwhelmed by the mysteries of the universe; by the inexplicable ways that wine evolves in bottle; by the time that has passed, leaving its marks on my face and in this beautiful wine. While that graševina laid quiet in that old cellar in Kutjevo, many things outside happened: the Beatles conquered America and the planet; I was born; the Vietnam war; Korea; Jimi Hendrix; Led Zeppelin; Watergate; Space Shuttle missions to space; the first Apple computer; mullet haircuts; Michael Jackson’s lifetime; the fall of the Berlin Wall; the break-up of Yugoslavia and the war in Croatia; cell phones; 9/11; endless wars in the Middle East; Facebook; the first African-American U.S. president…to name a few. The point is, all of that history – like wrinkles and wisdom – was somehow sewn into the wine’s fabric, with almost no fraying or fading. 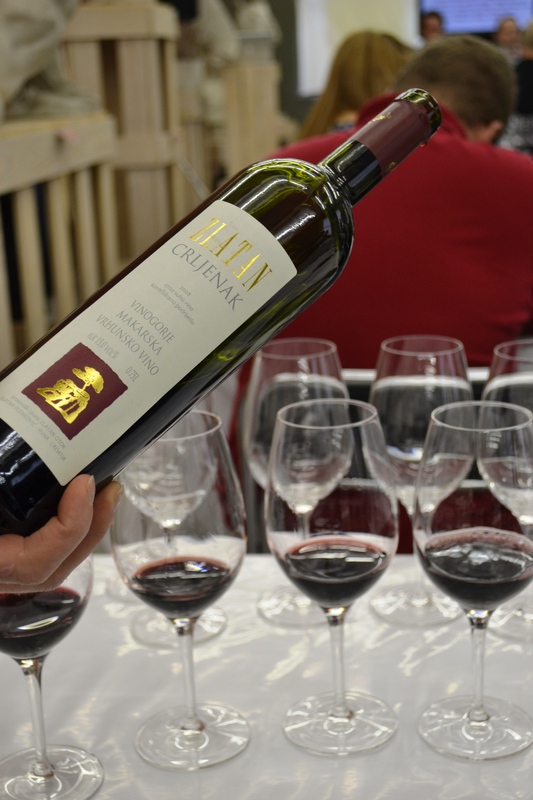 Judging from the mesmerized faces and stunned reactions of others at the tasting, drinking this treasured wine was truly an enchanting and righteous experience. 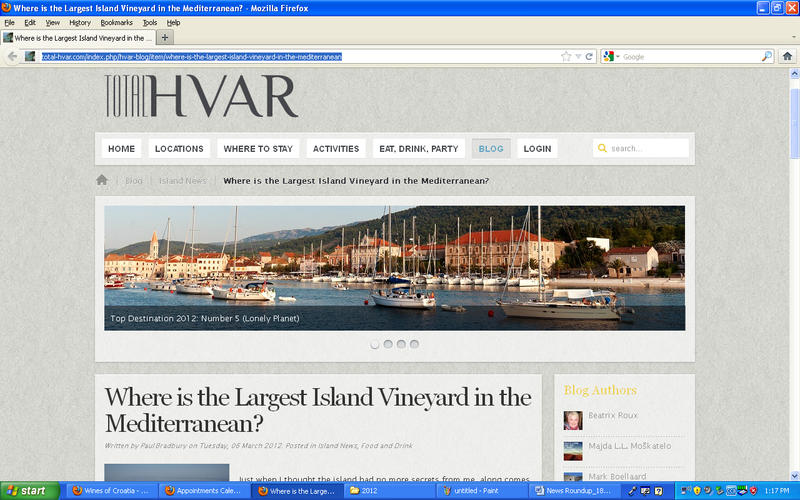 Thank you Kutjevo winery for sharing! I will try to write more about this tasting in a future post in order to do each wine justice. For now, suffice it to say that events like this one are an effective selling point for ZWGW and will certainly entice me – and hopefully more international visitors – to keep coming back. Okay, despite my strong desire and best efforts, I was unable to attend any of the film screenings that were part of the weekend’s schedule of events. A pity! But I was told by people who attended that it was a nice respite from the surge outside and the films were well done. I like the dynamic that this dimension added to the program, and hope that the organizers keep it next year. For a full list of all the films shown at the festival, please consult the ZWGW website. I have to admit, prior to arriving at ZWGW, I heard about and frequently came across on social media the husband and wife team who operate Pacta Connect and import Croatian wines into the U.K. and Ireland, Trevor Long and Judith Burns. However, I had never met them personally or knew them well enough to understand their motives and mission. 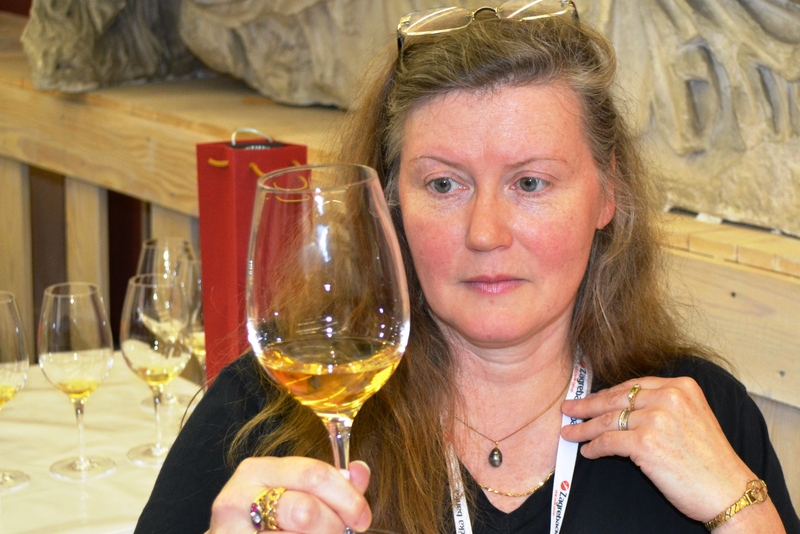 Frankly over the years I have grown weary and disheartened by random so-called “experts” who present themselves as authorities on Croatian wine after just one or two trips to Croatia. 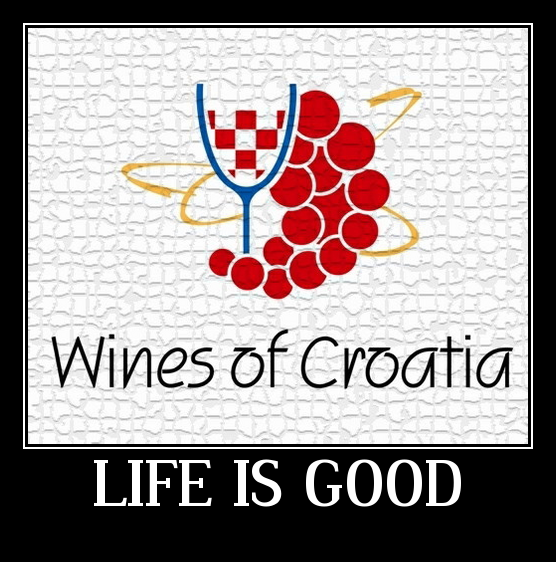 Some of these folks do more harm than good to the Wines of Croatia brand through misinformation, less-than-transparent agendas, and shoddy business practices. To be clear: Trevor, Judith and Pacta Connect do NOT fall into this category. Trevor and Judith are two very passionate and professionally-minded people who take the business of importing and promoting Croatian wines very seriously. Not only do they take great pleasure and care to represent the wineries in their portfolio with enthusiasm and coherence, they have also invested years of time and resources in the pursuit of learning more about each one by visiting the vines and spending days and weeks at a time with the winemakers. They hand select each wine for their portfolio based upon a criteria of artisanship, sustainability and authenticity. They also possess a keen understanding of their market and sharp sense for marketing and connecting with potential customers. 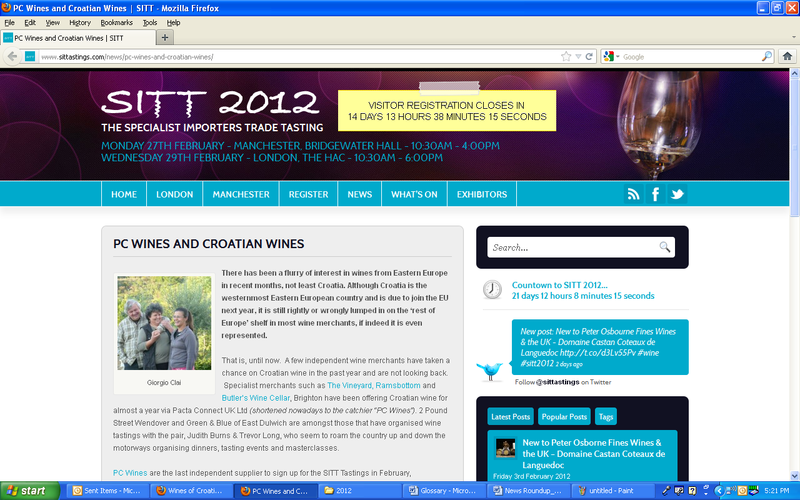 At the moment Pacta Connect is perhaps the most important and trending importer of Croatian wines in the U.K., and Trevor and Judith are certainly leading pioneers and worthy colleagues in our joint mission to tell the story and share the love for the wines of Croatia. It was a true pleasure to meet them at ZWGW and to hear their stories (Trevor used to manage rock bands! 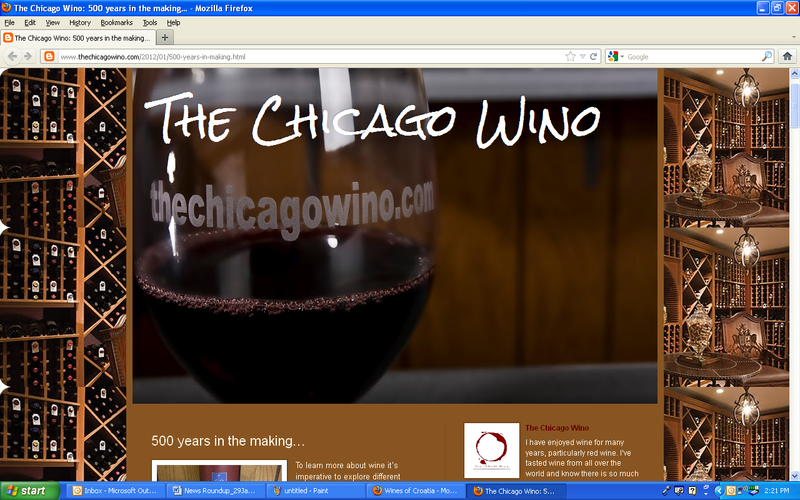 ), their vision, and their love and respect for the wineries they represent. 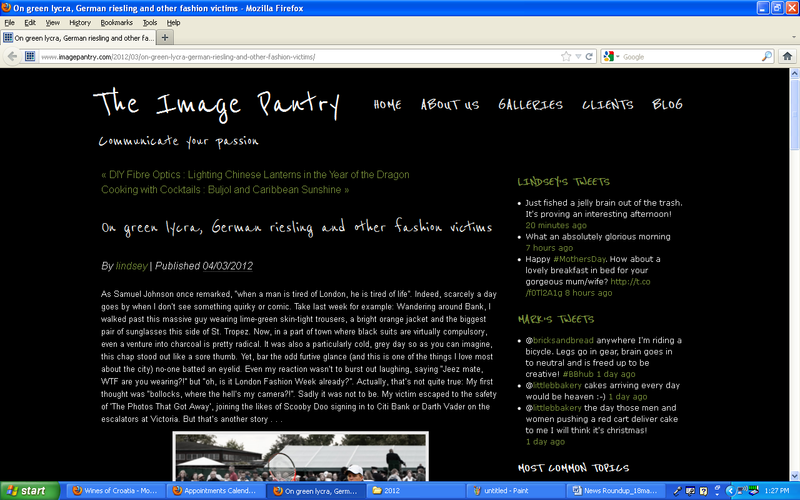 If you haven’t yet had the chance to follow Trevor and Judith’s endeavors, please do say hello. They are working hard to make a difference, and I for one am amazed by and grateful for all they have done. When asked by the organizers of ZWGW to moderate a two hour session devoted to Twitter, I have to admit that my blood went cold. As much as I enjoy Twitter and understand its mechanisms and benefits, two hours is an awfully long time to talk about it, even if we would be adding a live blogger tasting of three wines to demonstrate one of Twitter’s many and livelier functions: the Tweet-up. A Tweet-up is a gathering (usually at different remote locations) of Twitter users, all tweeting about a common subject (in this case wines that they were tasting). Our ZWGW guest panel of “twixperts” (Twitter experts) and winos included Lada Radin and Nenad Trifunović of Taste of Croatia. Our guest star was to be Marcy Gordon, an experienced travel and wine writer from California who operates the excellent Come for the Wine blog. Sadly, Marcy ran into a series of unexpected and unfortunate travel glitches that resulted in her having to cancel her trip after spending nearly 12 hours in the airport. We certainly missed her and hope she can make it toCroatia again soon! At ZWGW Marcy planned to share her story of how she discovered Wines of Croatia through Twitter, which led her to Frank Dietrich at Blue Danube Wine Company in San Francisco, which inspired a successful blogger tasting of Blue Danube’s portfolio of Croatian wines, which resulted in Marcy being invited on a press trip to Croatia last year, and served as the basis for which she was invited as a VIP guest to ZWGW this year. Marcy’s “twittertrail” experience – following the threads and connections of contacts on the social network – was the perfect example of the magic and power of Twitter. With over 175 million users, Twitter offers businesses, wineries, importers, wine writers, wine sellers, and PR and marketing agents a huge opportunity to reach large numbers of potential customers. 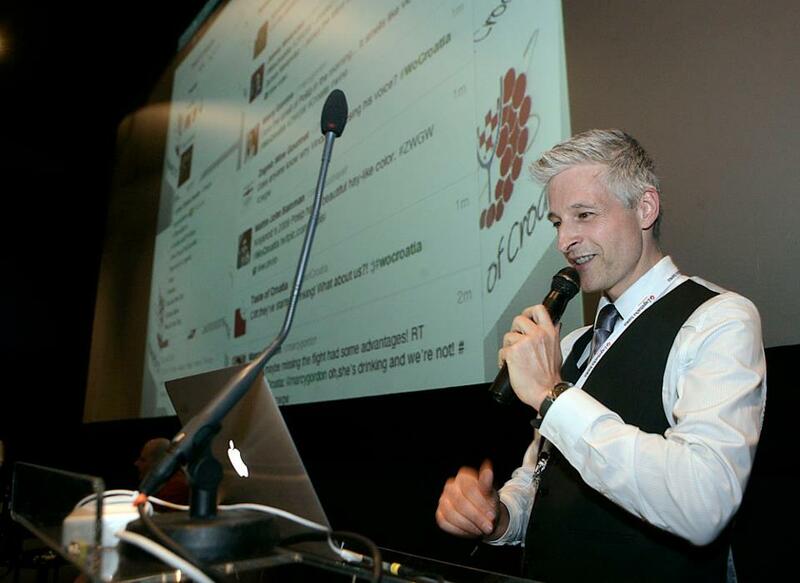 To reveal and explain that benefit was the message and purpose of the Twitter tasting at ZWGW. To show Twitter in action, we asked several U.S.-based wine bloggers to taste along with us the same three wines we tasted at the session inZagreb: Krajančić 2009 Pošip, Terzolo 2009 Teran, and Miloš 2008 Plavac. As they tasted, the bloggers tweeted their impressions and comments; their tweets were projected onto a big screen in the auditorium in Zagreb for ZWGW participants to see and read. To track the action, we employed a hashtag (a # symbol) before the key word that flags the term and makes it easier to search and track. 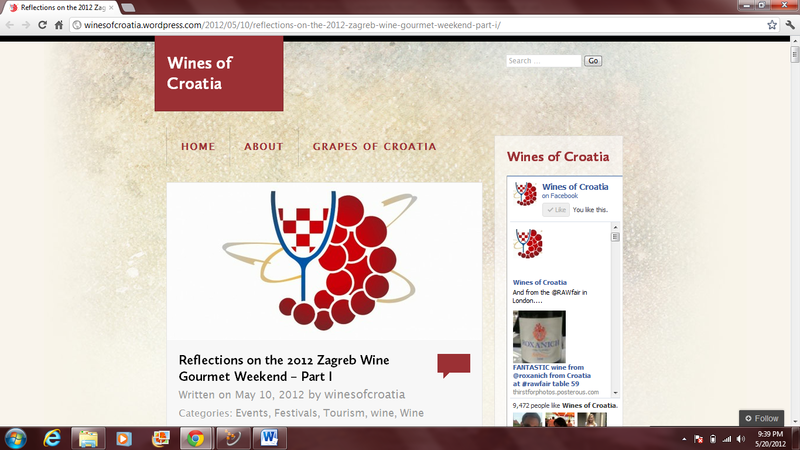 The hashtag was #WoCroatia (for Wines of Croatia). 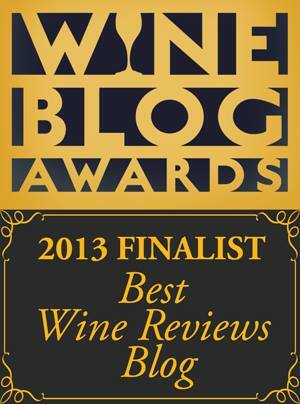 Other hashtags that we threw in for good measure were #winelovers and #zwgw. And in the heat of the action, a new hashtag (thanks to Nenad Trifunović) was born: #teranslut. The session was fun and hopefully useful to the attendees. 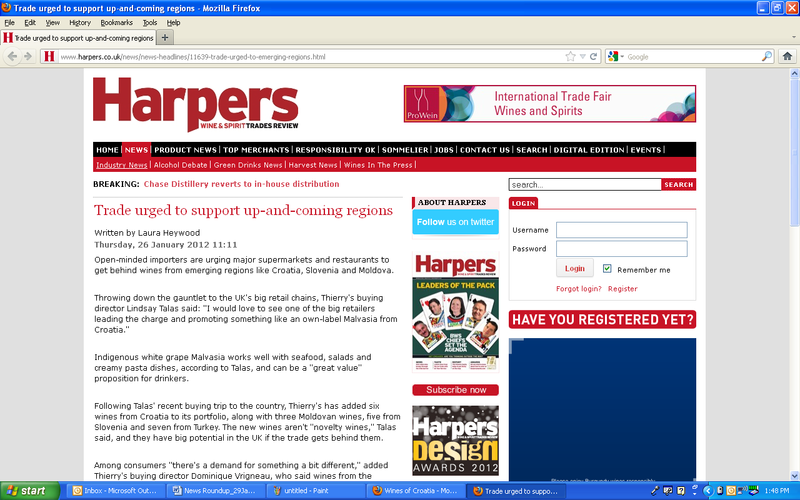 I was disappointed that more winery personnel did not attend. 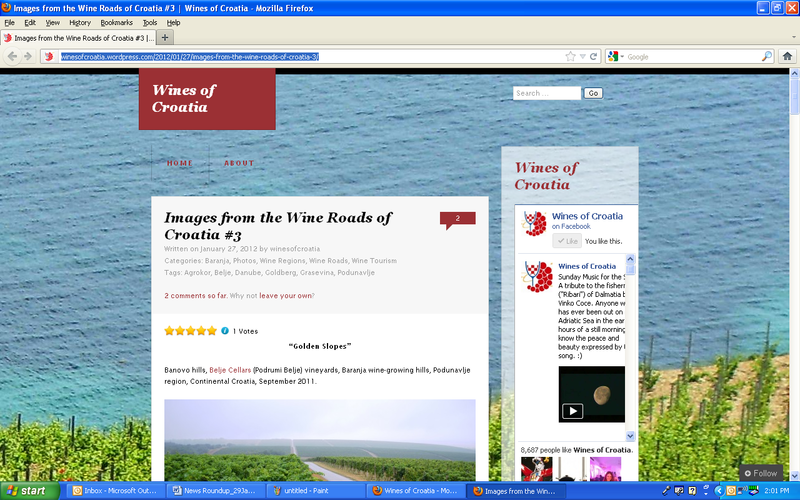 Many Croatian wineries do not use Twitter, and this session was mainly designed to encourage them to discover Twitter and start using it to market their wines. For any Twitter users out there, here are the user names for the panel and blogger participants at the session. 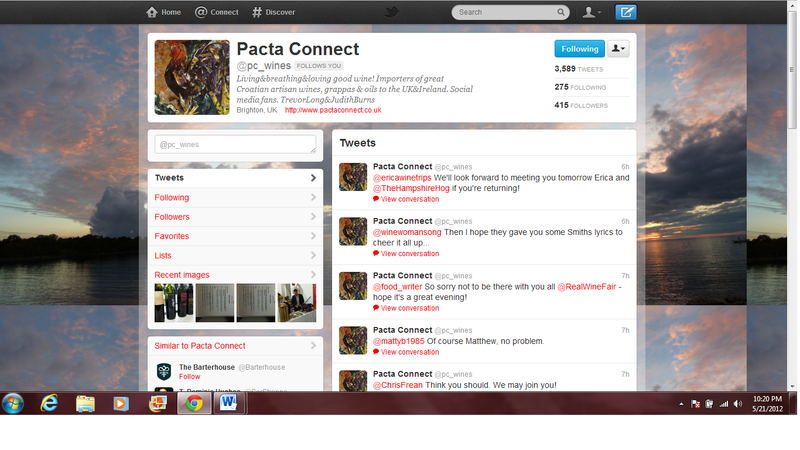 Please follow us! 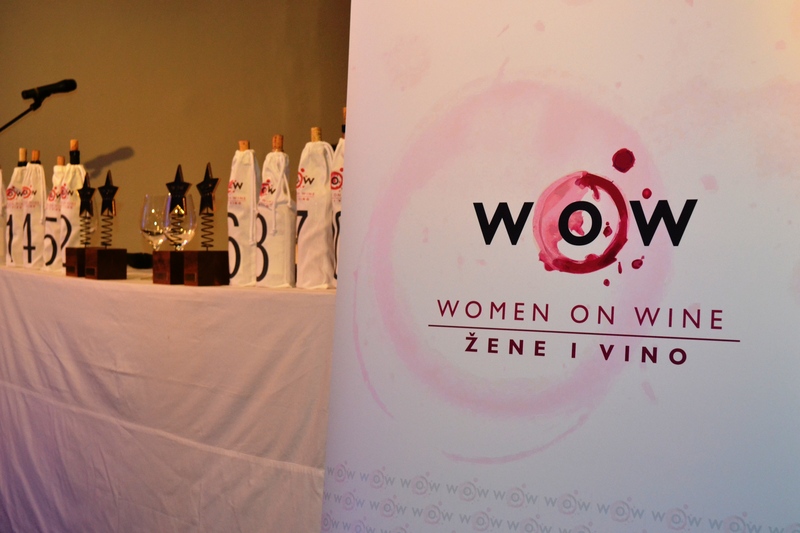 Despite a few glitches and the acclimation period required before you can successfully navigate your way to the many hidden tasting rooms and off-site seminar locations, ZWGW was an educational, interesting and exciting wine event – one not to be missed if you are serious about discovering what Croatia has to offer. Each year ZWGW gets better and better, and I applaud the organizers for listening to feedback and attempting to address the issues and adjust the plans for the next year’s fair. This willingness to avoid a “cut and paste” process and repeat the same show over and over again is encouraging, keeping things fresh and pushing the boundaries further outward towards discovery – and hopefully less hungry bellies! The focus on drawing an international audience is essential, especially in light of the need to brand Croatia and a complete tourist destination, not just a wine destination. Perhaps an idea for the future would be to invite representatives from tourist agencies that operate in the corresponding wine regions to present the other features and offerings of those regions – the hotels, the restaurants, the tourist sites – to create a full immersion impression of the area? For more photos from ZWGW, please check our Facebook page HERE. We leave you now with the official video produced by ZWGW showing some of the action. Enjoy! 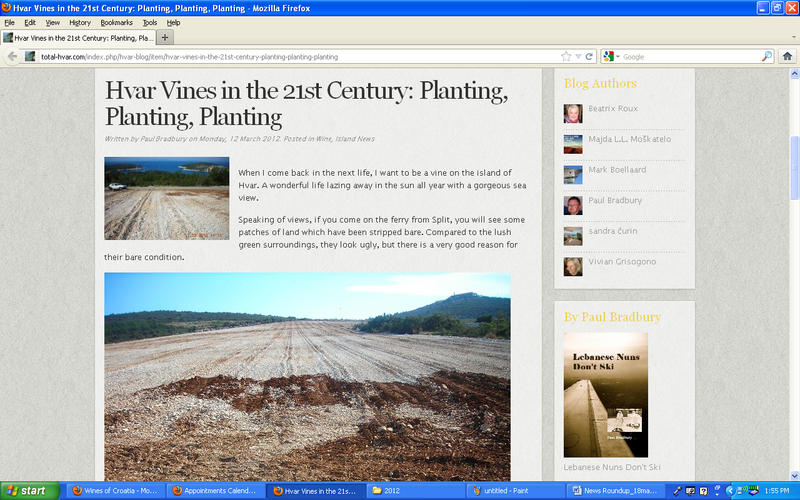 Reviews of Cattunar 2010 Malvasia Istraina and Clai 2009 Malvazija Sv. Jakov by Pacta Connect. 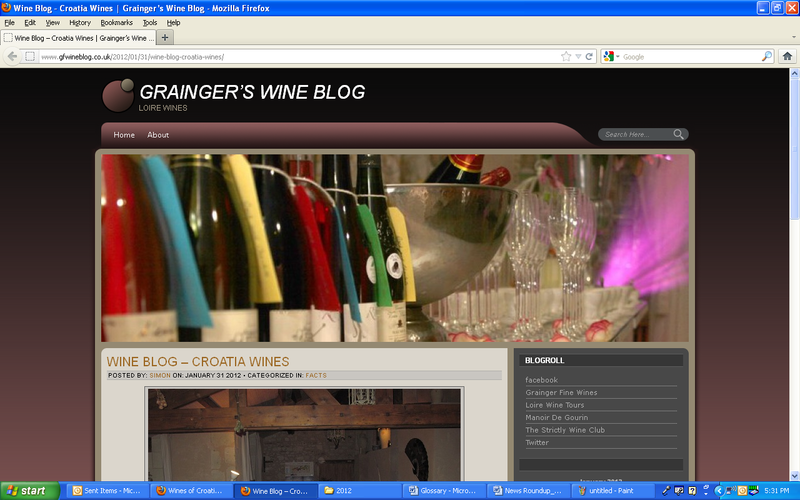 Part I of a two-part report about one of Croatia’s most important wine festivals. 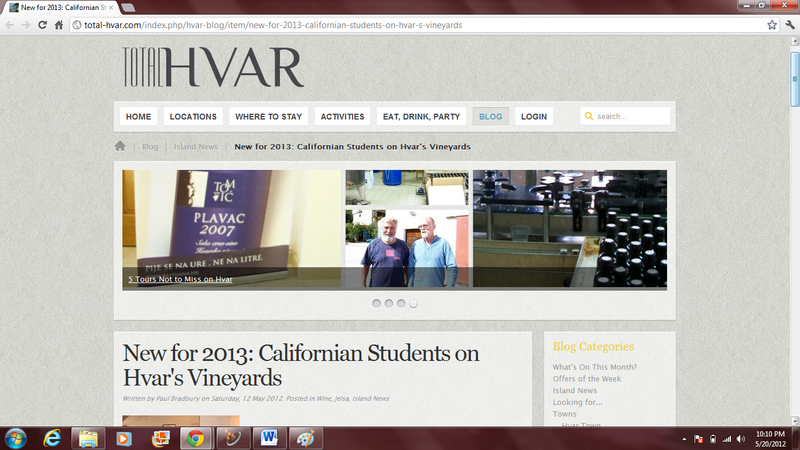 An exchange program between a university in California and Hvar’s winemakers has been launched, which will offer internships to viticulture students. 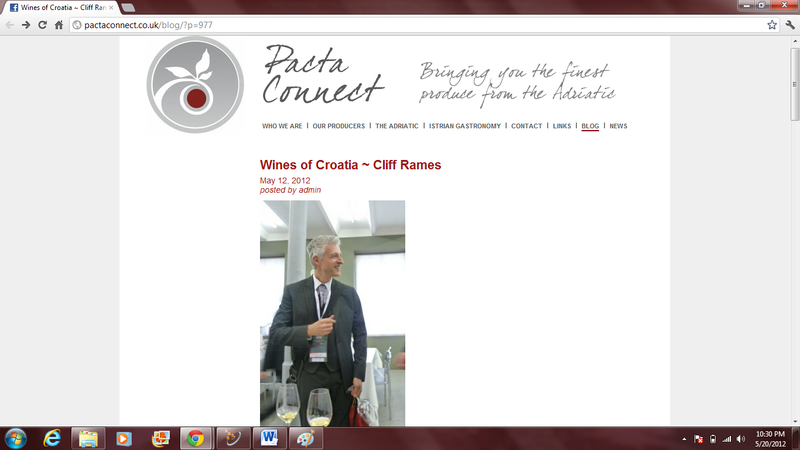 Trevor and Judith from Pacta Connect (a U.K. importer of Croatian wines) profile Wines of Croatia founder Cliff Rames. 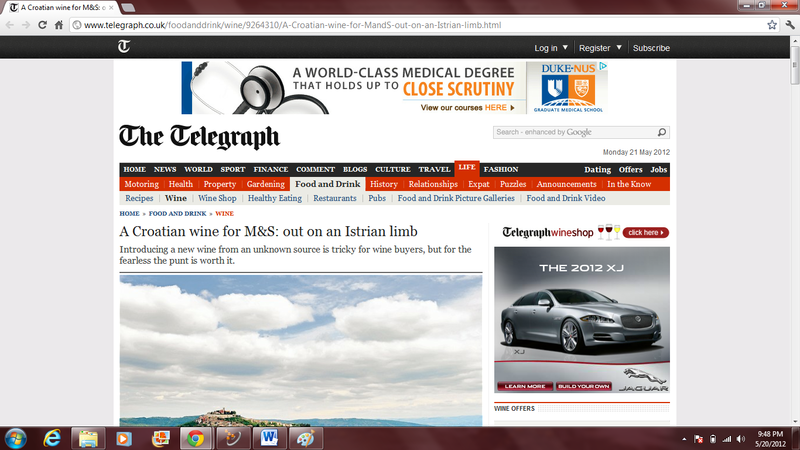 The story behind the selection of Pilato Malvasia Istriana for a leading U.K. supermarket. 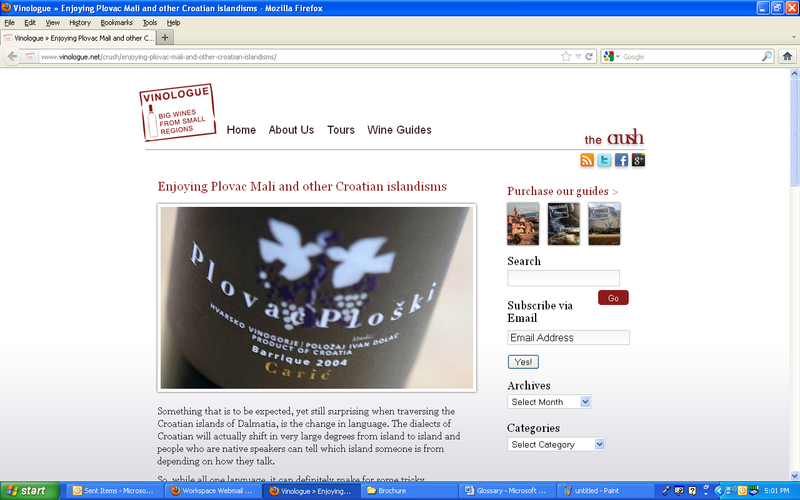 More background stories about the recent addition of two wines of Croatia – malvasia istriana from Pilato and Grasevina by Krauthaker – to British supermarket Marks & Spencer “Eastern Mediterranean” portfolio. 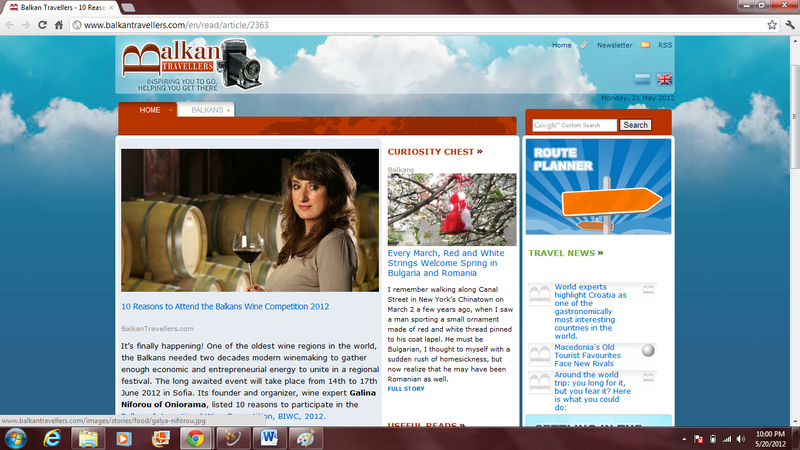 The first-ever Balkans International Wine Competition will take place in Sophia, Bulgaria on June 14-17, 2012. 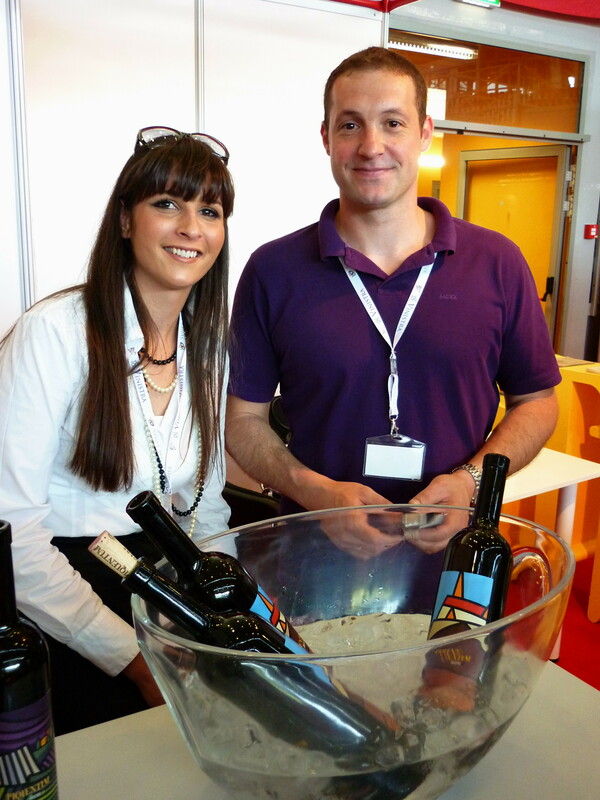 Here are 10 reasons why wineries, exhibitors and guests should attend. 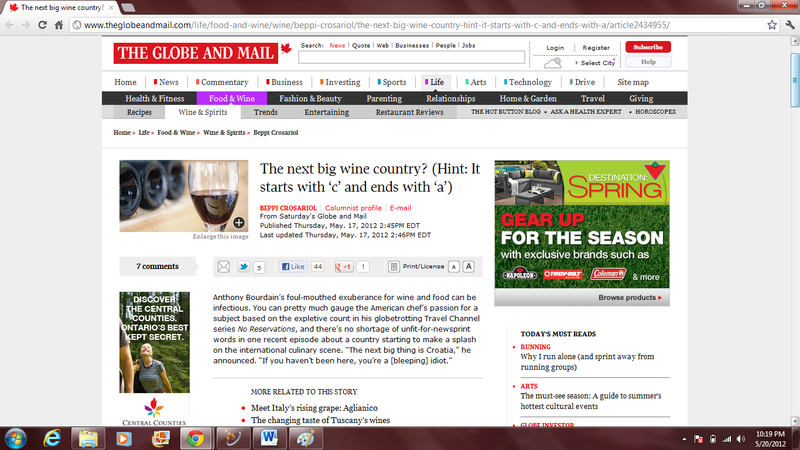 Canada’s Globe and Mail echo Anthony Bourdain: No Reservations by also asserting that Croatia is the next “big wine country”. 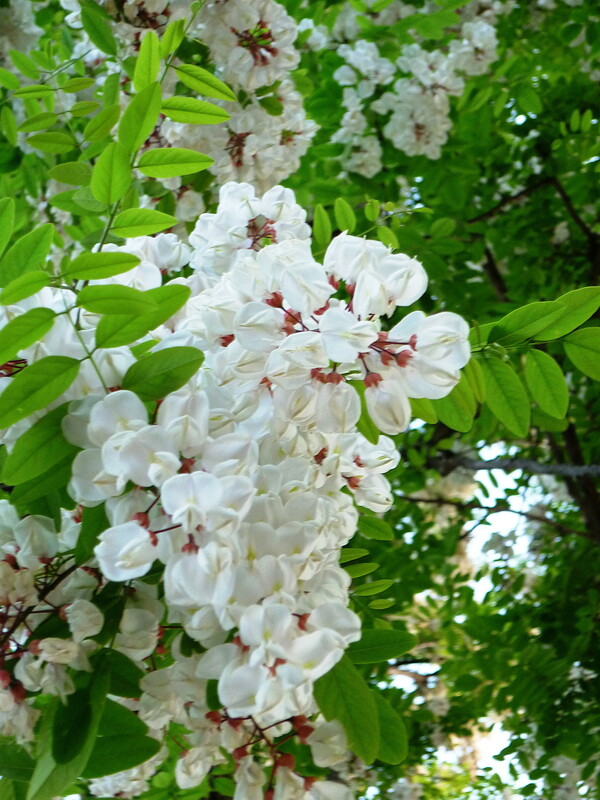 As a matter of fact, yes – you can find the variety growing all over Croatia. 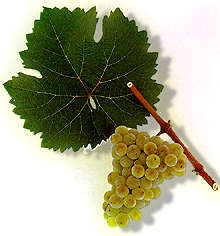 Heck, even the mother grape of chardonnay is Croatian, a little devil of a grape called štajerska belina – or gouais blanc – that long ago made its way to France where it crossed with pinot and sired chardonnay. 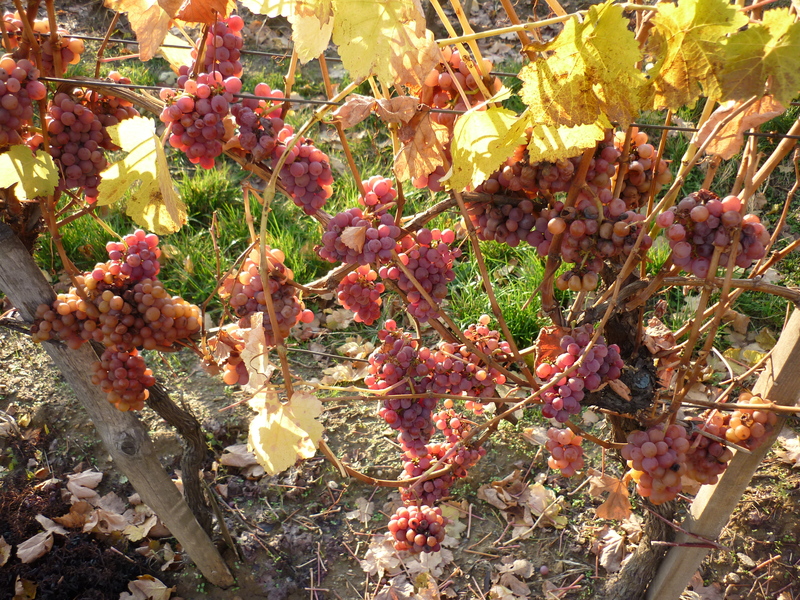 While quality is uneven, delicious chardonnay wines are produced across Croatia – from Istria along the coast (called the “Tuscany of Croatia” by the New York Times), to the amphitheater-shaped hills of Plešivica in the northern continental region and the Miocene Epoch-dated Pannonian Sea soils of Kutjevo in Slavonia. 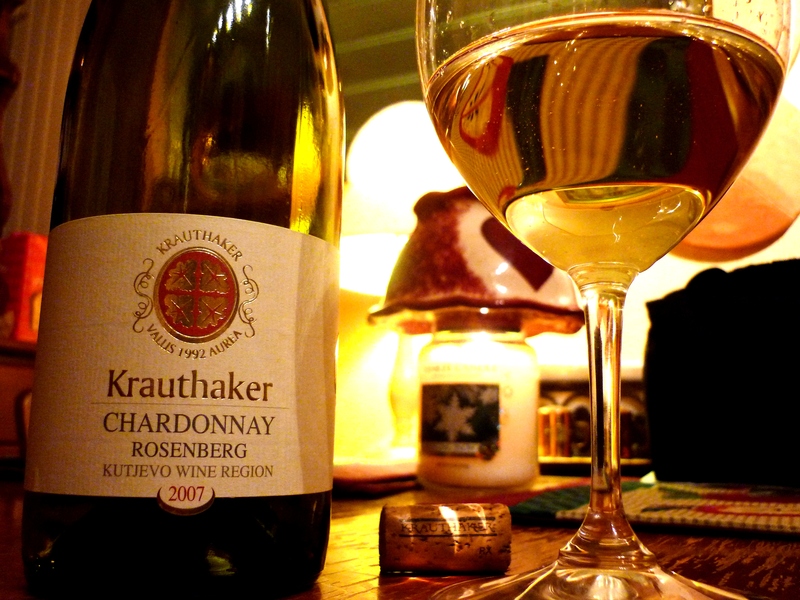 Krauthaker’s Rosenberg 100% chardonnay is sublime; while Kutjevo winery’s 2009 Chardonnay de Gotho Aureus won a silver medal at the 2011 Chardonnay du Monde wine competition in France. Belje is a leading producer from the Baranja wine-growing (far northeastern Croatia), where among its expansive vineyard holdings is the esteemed 220 meter-above-sea-level, south-facing Goldberg appellation – home of its award winning Goldberg Chardonnay. From Plešivica Korak Chardonnay is the benchmark beauty, and chardonnay forms 50% of the blend in Tomac’s iconic Anfora wine. If orange wine is your thing, Roxanich Milva chardonnay from Istria is fabulously elegant and complex with its creamy, mineral character and exotic fruit, floral, nut and honey notes. 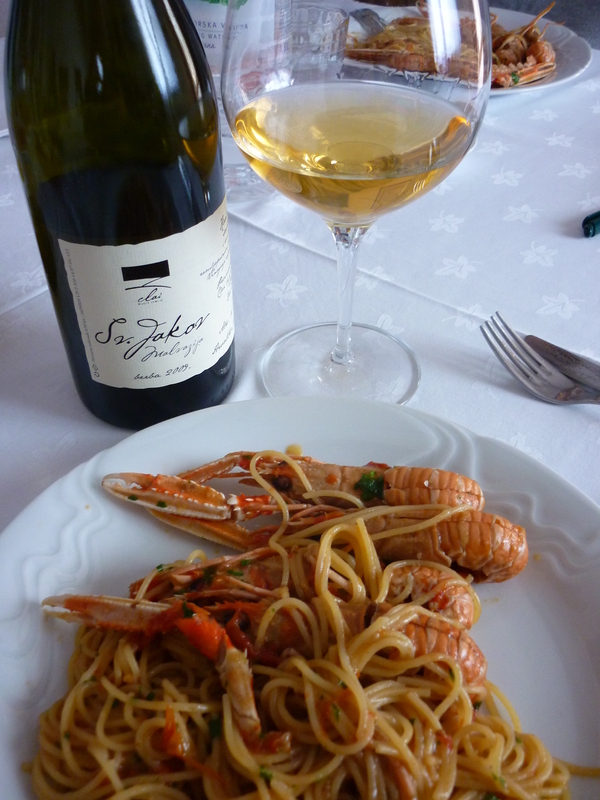 Chardonnay is sometimes blended with other local grapes, like in Istria where it nicely compliments blends made with the local malvasia istriana (malvazija istarska) grape. Saints Hills Nevina, Matoševic Grimalda Bijelo, and Trapan Levante are a few prime examples. Cabernet sauvignon? 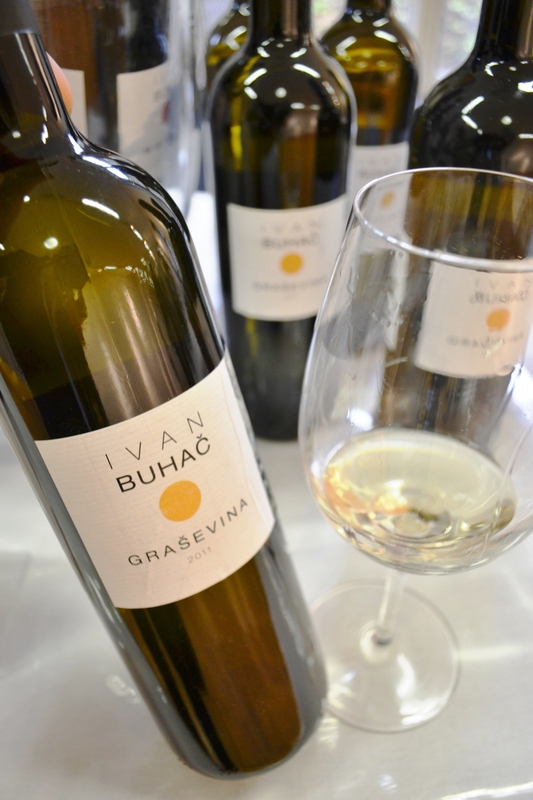 Check out the Podunavlje sub-region of Slavonia, whose terroir (long, warm growing season and ancient loam slopes along the Danube) delivers promising results. 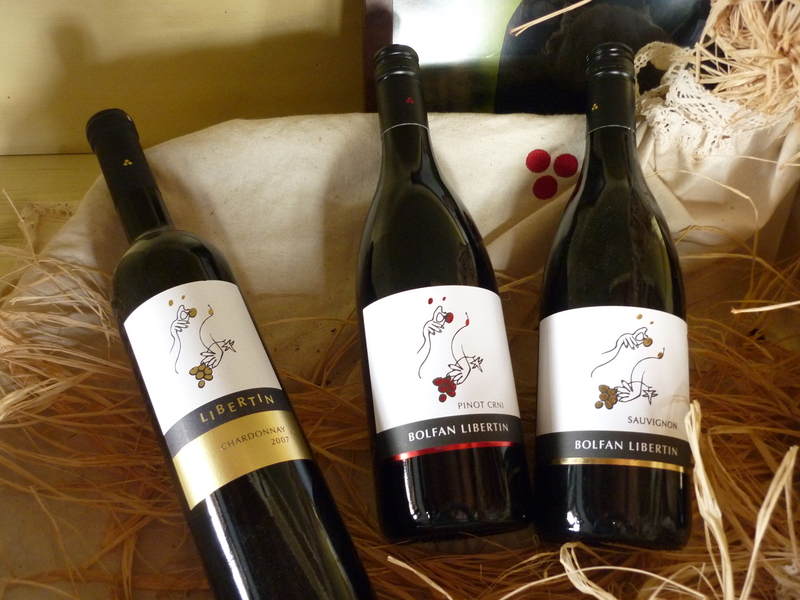 Iuris winery in the Erdut wine-growing hills produces a tasty, food-friendly entry-level cab from their vineyards on the Kraljevo Brdo (King’s Hill) appellation. 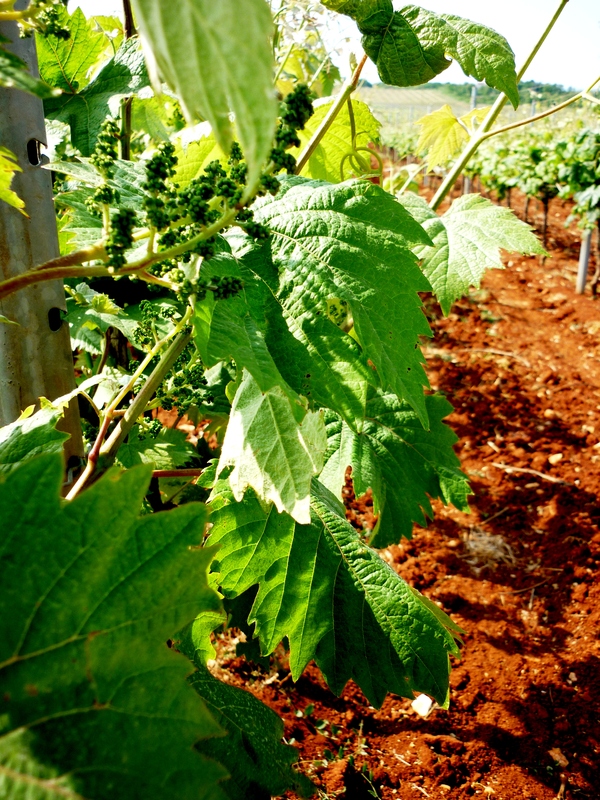 In Istria, iron-rich “terra rosa” soils lend nice structure and minerality to the region’s red wines (think the Coonawarra region of Australia); Agrolaguna (Festigia label), Coronica, Cossetto, Degrassi, Roxanich and Trapan all come to mind as producers who are banging out some really palate-worthy Istrian cabernet sauvignon. In southern Dalmatia, Dubrovački Podrumi (Dubrovnik Cellars) produces the benchmark southern climate cabernet, Trajectum, from its vineyards overlooking the Konavle valley just south of the tourist Mecca, Dubrovnik. Merlot? 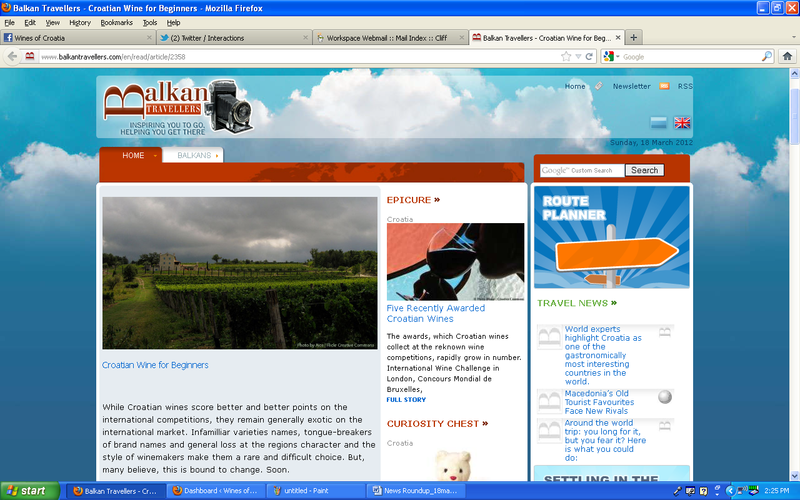 It’s just about everywhere, from Dalmatia to Istria to Slavonia. Sometimes it’s good (Agrolaguna Festigia); BIBICh Sangreal; Crvik; Frajona; Krauthaker; Roxanich); sometimes – not so much. Often it finds its best use in tasty Bordeaux blends, such as the excellent Dajla Cuvee Barrique from Istravino and the “Vrhunsko” 2007 red cab/merlot blend from Boškinac winery on Pag island. Most famously, merlot (along with cabernet sauvignon and refosco) was a component in the Clai Ottocento 2007 Crno that Gary Vaynerchuk reviewed – and fell in love with – on Wine Library TV. 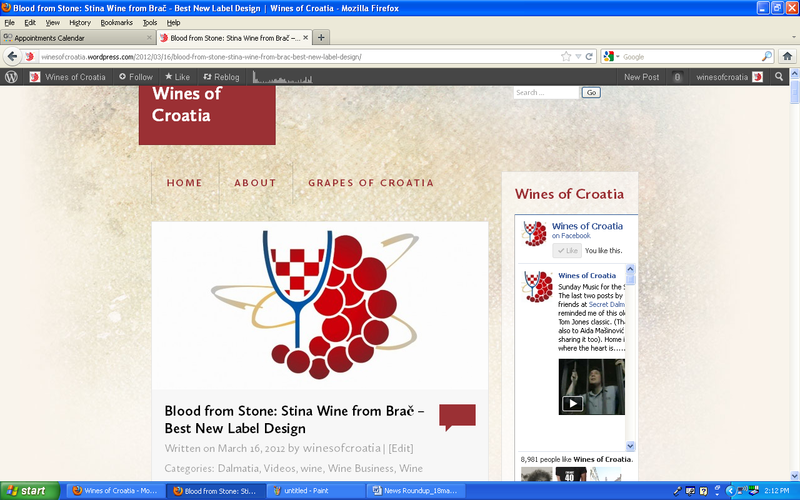 You can see Gary’s reaction – and watch the whole wines of Croatia episode (above). 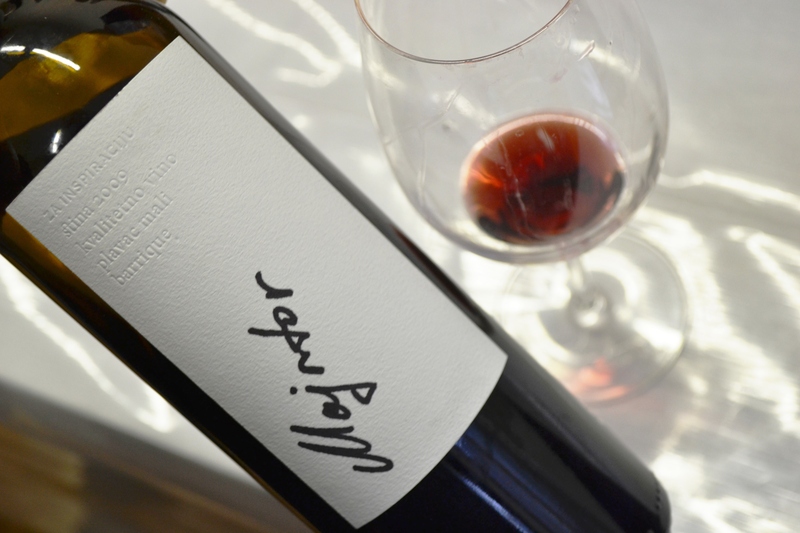 Cabernet franc is sparsely-planted, but Moreno Degrassi in Istria produces a lovely version full of typical cab franc character (cherry and black fruits with a hint of tobacco and sweet herbs). 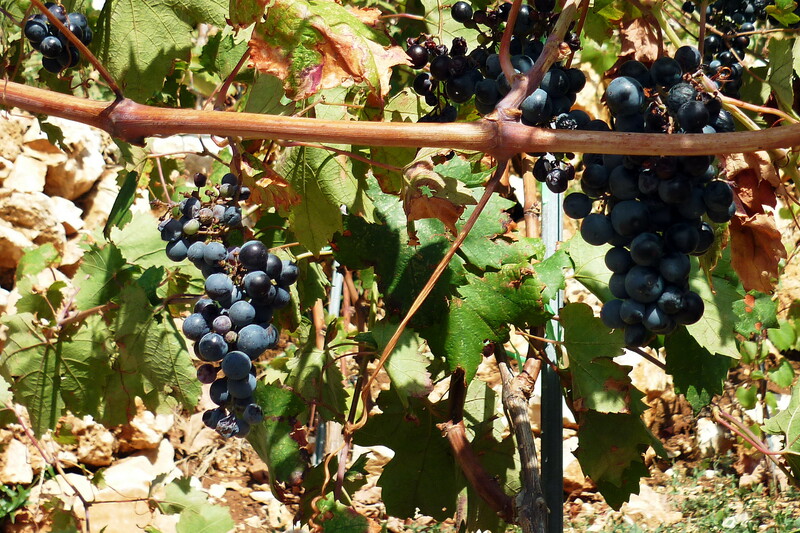 That pinot noir (‘pinot crni”) is only grown in a few select spots in Croatia is testimony to the grape’s fickleness and outright hostility toward inappropriate terroirs. But a couple of producers have had some luck with it, notably Velimir Korak in Plešivica and Vlado Krauthaker in Kutjevo (from grapes grown on the upper slopes of Mt. Krndija). 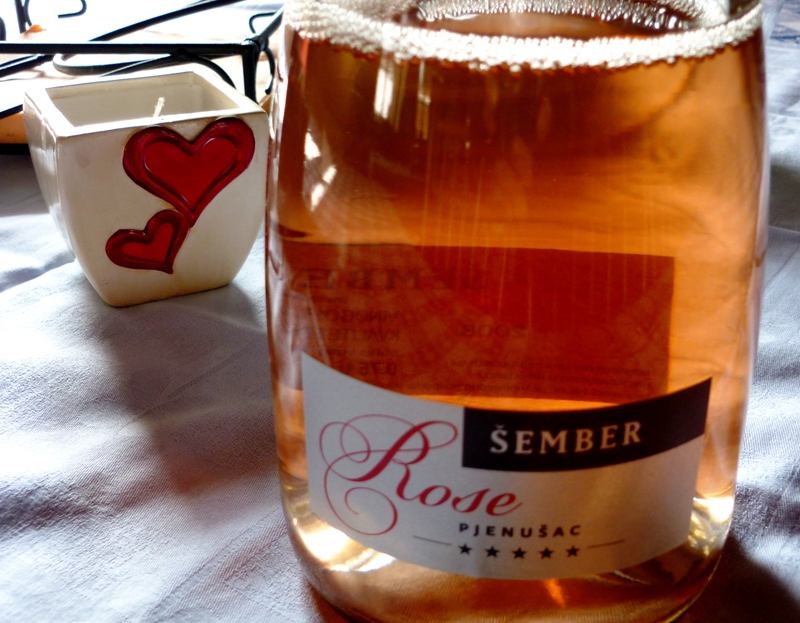 Back in cool Plešivica, Šember winery offers a delicate and refreshing 100% pinot noir sparkling wine that tingles with hibiscus and watermelon flavors laced with seashell minerality. Syrah? 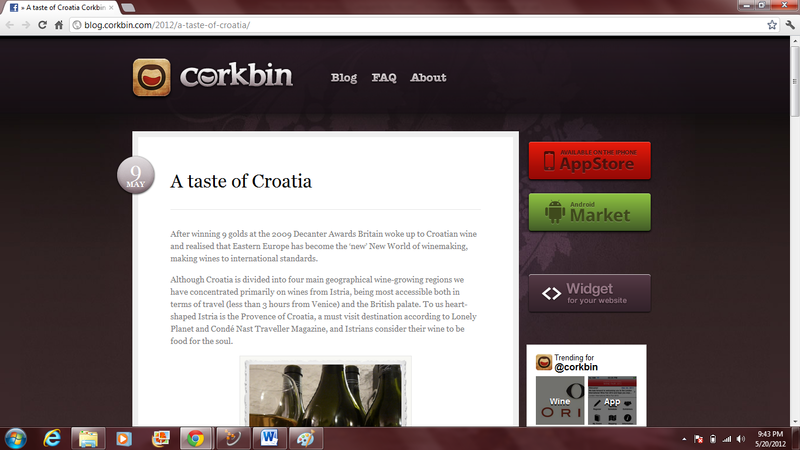 It’s emerging in a select few locations in Croatia and is still very much in the experimental phase. 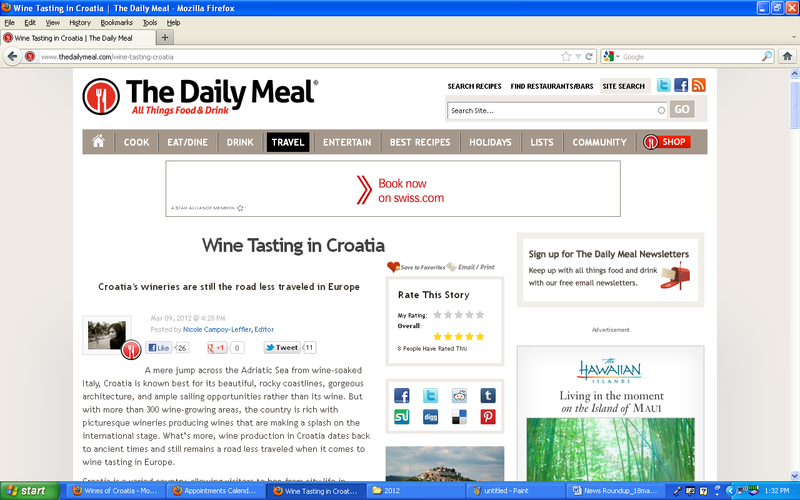 Early results though indicate that the grape (syrah/shiraz) seems to enjoy Croatian hospitality. A growing area to watch is the Dalmatian hinterland around the coastal city Zadar, where Alen BIBICh produces his acclaimed Sangreal Shiraz and Benkovac winery cultivates 103 hectares of vines that spawned the award-winning 2007 Korlat Syrah. In Istria, Bruno Trapan has seriously invested in syrah and is hedging his bets that it will do well on his 5 hectares of vineyards located 50-55 meters above sea level at Šišana near Pula. 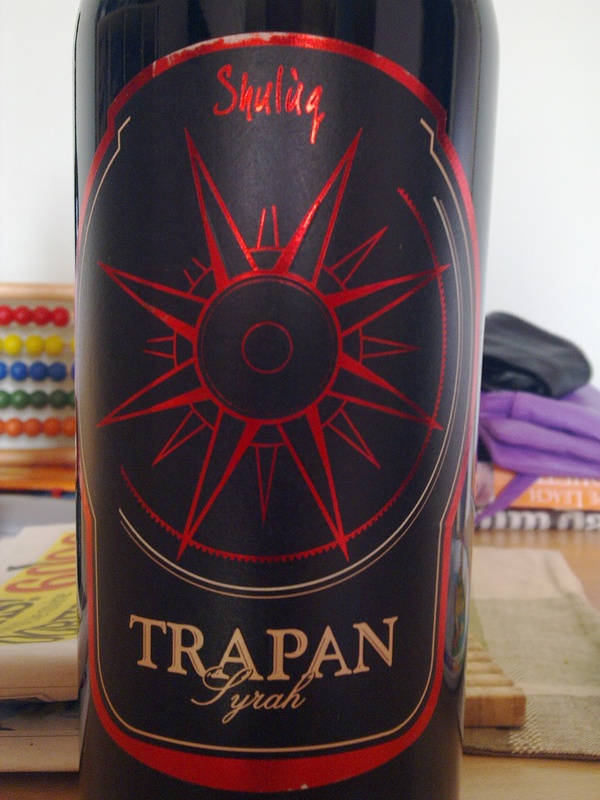 Trapan 2007 Shuluq Syrah received a “Commended” rating in the Decanter 2010 World Wine Awards competition. That said, I suspect that the international marketability of Croatian syrah will face many challenges, especially in light of the recent – and sad – downturn in global demand for syrah. Let’s not forget Zinfandel. 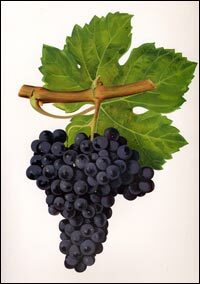 Technically, Zinfandel is a native Croatian variety called Crljenak Kaštelanski and its story and genetic links to Croatia have been widely documented. But because some Croatian producers are preparing to release wines labeled as “Zinfandel”, we will briefly mention it here. 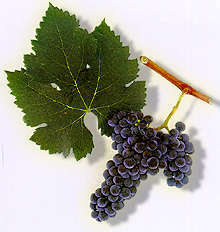 Zinfandel (aka Crljenak) is native to the Kaštela region of central Dalmatia, near the city of Split. Further south on the Pelješac peninsula, well-respected producer, Marija Mrgudić of Bura-Mugudić winery, planted Napa clones and is preparing for the first release of Croatian Zinfandel. 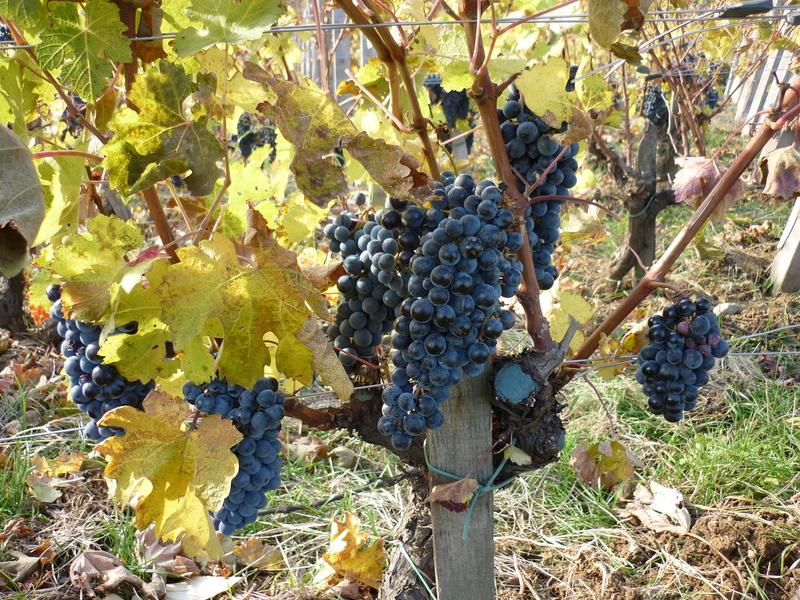 Although the jury is still out on whether this grape can deliver as much potential as plavac mali (the variety that historically supplanted it) – or if American zinfandel producers will oppose the use of the “Zinfandel” moniker on labels from Croatia – it is an interesting development and can only help draw positive attention to Croatia’s winemaking culture. Sauvignon blanc? Riesling? Pinot gris? Pinot blanc? All are planted in Croatia (where they are known as “sauvignon”, “rajnski rizling”, “pinot sivi”, and “pinot bijeli” respectively) and have a long history of being consumed locally as table wines, particularly in the cool continental regions. But a number of producers have invested in vineyard and cellar in order to improve quality and raise the profile of these varieties – especially sauvignon blanc and riesling. 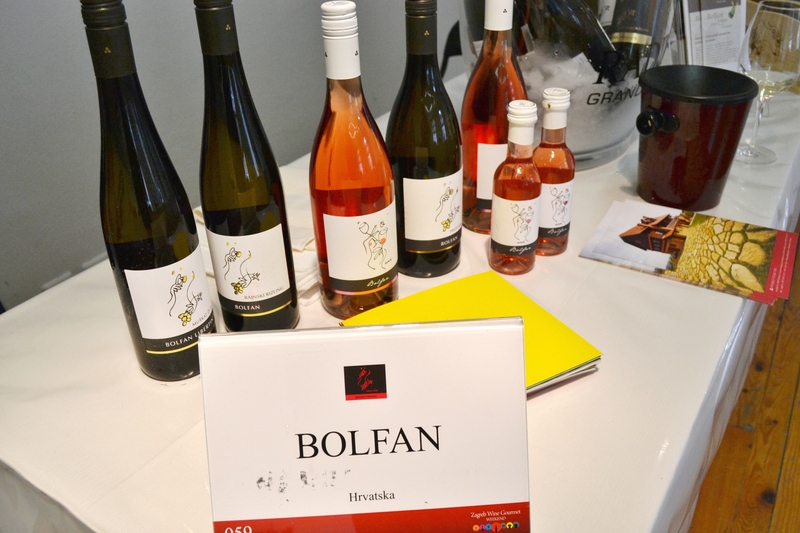 A very promising producer is Bolfan in the Zlatar wine-growing hills of the Međimurje–Zagorje region. The Bolfan portfolio includes some very intriguing, pure and refreshing whites across all styles (dry to sweet) from an array of grapes grown on its 20 hectares of stunningly beautiful “Vinski vrh” (Wine Summit) vineyards; the Bolfan ’08 Riesling Primus is drinking beautifully now with an off-dry, richly extracted profile of golden apples, pears and honey with hints of petrol and wet stone minerality. Tasty! 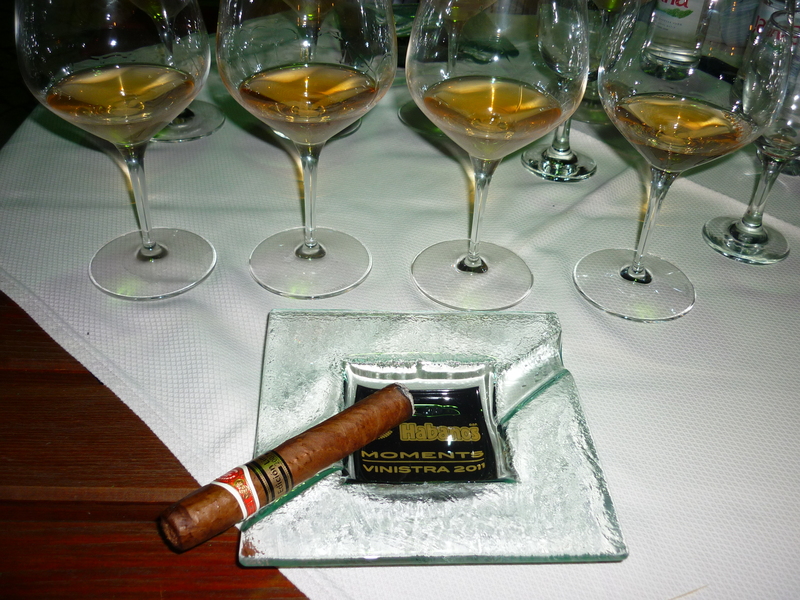 For sauvignon blanc, watch for the award-winning Badel 1862 Sauvignon Daruvar and Zdjelarević Sauvignon from Slavonia. Not surprisingly, sauvignon blanc seems to have found its sweetest spot in the Plešivica area with its cool, moist and sunny slopes that grace the bowl of the area’s naturally-formed amphitheater. There Korak, Šember and Tomac produce crisp, lovely citrus and herbal examples. 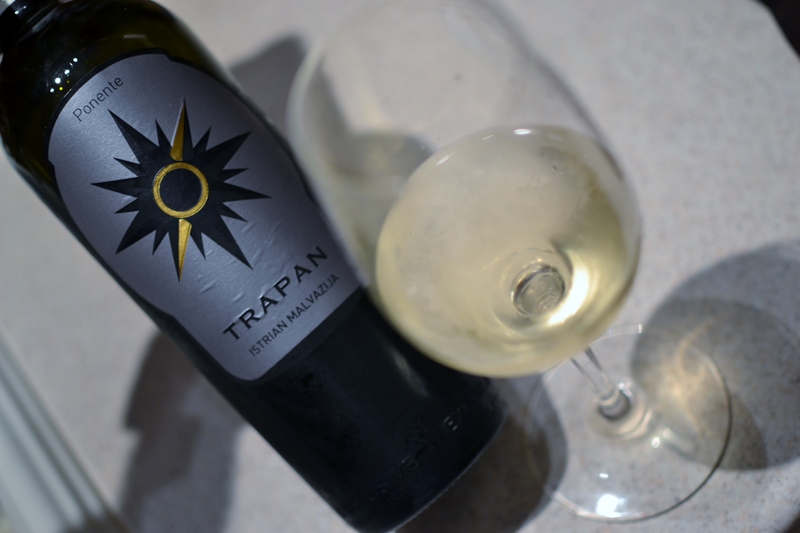 Gewürztraminer (“traminac”) does very well in the far-eastern corners of the Slavonia and Podunavlje regions, where it is made into everything from dry, spicy whites to unctuous, richly floral and delicious late harvest and ice wines. 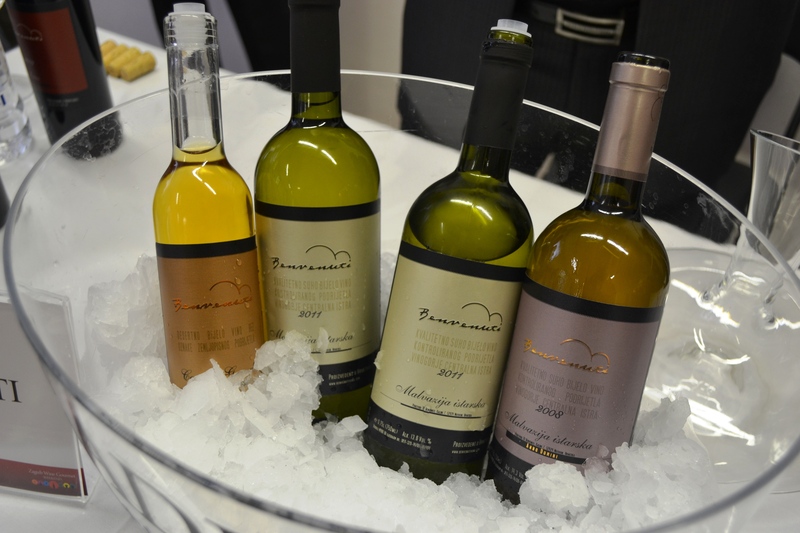 Iločki Podrumi is a leading producer in the Srijem wine-growing hills and in certain frosty years Kutjevo winery and Iločki podrumi make a luscious Ice Wine (“Ledeno vino”) from the variety. So yes…wines made from familiar international varieties can be found in Croatia – and to a lesser extent on export markets. 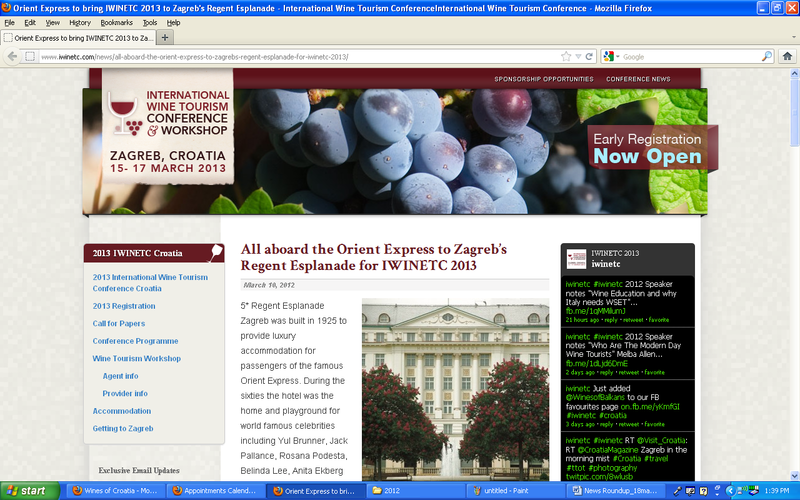 That said, international varieties are not the future of Croatian winemaking or marketing program. 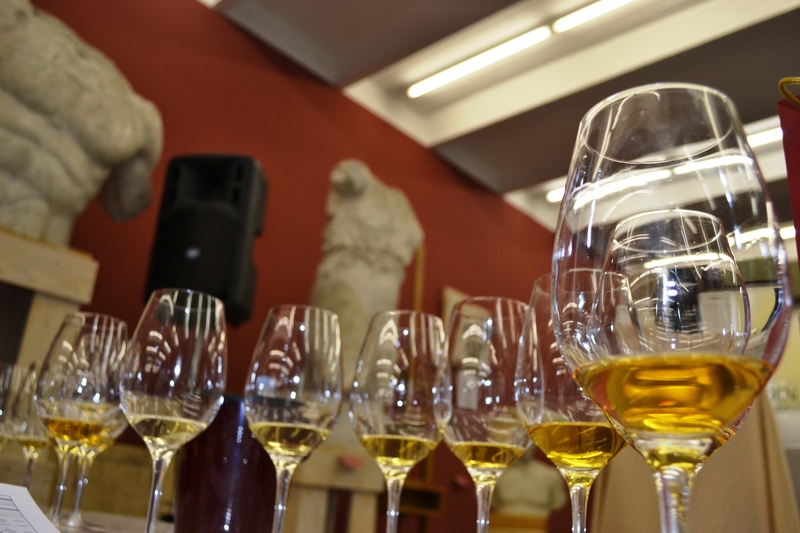 The “Golden Promise” (I would argue) lies in Croatia’s rich array of indigenous grape varieties. Their individual stories are screaming to be told and are sure to pique intrigue among – and stimulate the palates of – savvy foreign wine buyers and adventurous consumers. 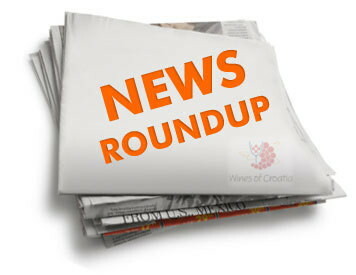 Ray Isle, Food & Wine magazine’s executive wine editor, recently presented “Five Grapes to Expand Your Wine Horizons” in an article for CNN’s Eatocracy blog. 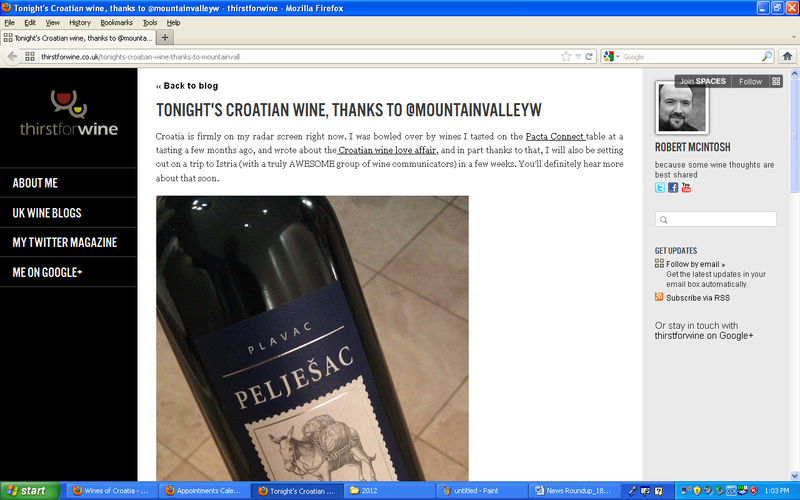 Unfortunately none of the grapes he mentioned was from Croatia (the list did include blaufrankisch, known in Croatia as frankovka). The point is, wine drinkers who seek the magic of discovery must look beyond mainstream varieties and venture into uncharted territory: The land of native grapes with charming, sometimes tongue-twisting names. 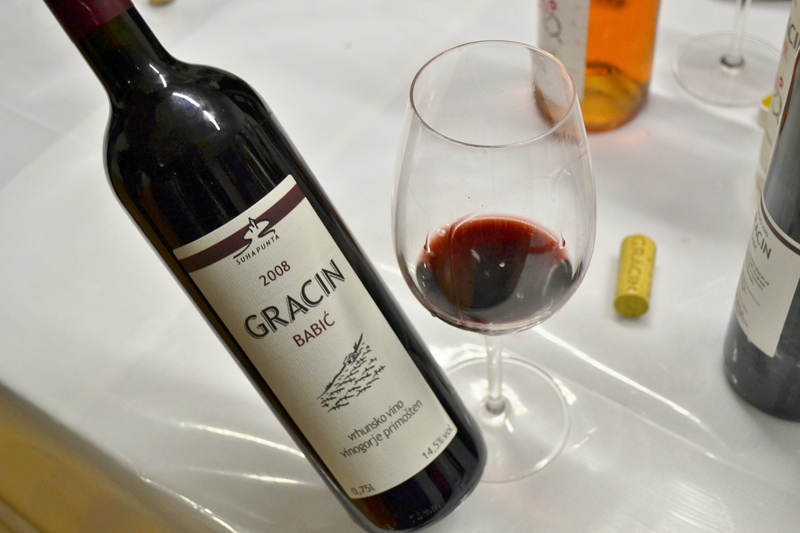 Once blessed with over 400 indigenous grape varieties, the Croatian Ministry of Agriculture’s official list of cultivars today contains 192 varieties, of which 130 are considered autochthonous (indigenous) to Croatia or the region. 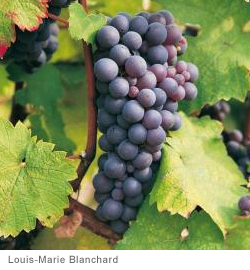 Of that number, only three dozen or so are commonly found in modern commercial wines. 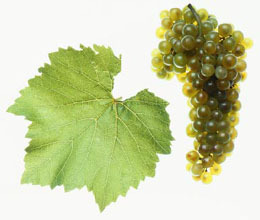 The “Big Three” of course are graševina, malvasia istriana, and plavac mali, which are – in descending order – the most widely planted wine grape varieties in Croatia. In our next post we will introduce the “Big Three” – and go beyond, presenting you with the “Magnificent Seven”, a fabulous handful of Croatian wine grapes that you should know. These varieties were selected based on their commonality, the quality of the wine they produce, and their accessibility and presence on both the domestic and export markets. 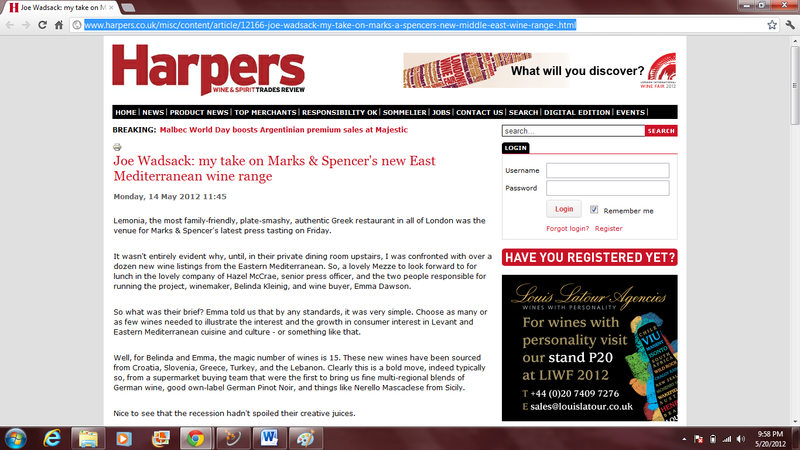 A profile of UK importer Pacta Connect and its involvement in the SITT tasting, which is designed specifically for “wine buyers from the independent on and off trade, and for press visitors interested in ‘real’ wines.” Clai and Coronica are just a few of the “real” wines PC Wines represents that will be on hand at the upcoming tasting. A few scrumptious observations about Croatia’s food and wine culture by a group of 15 cyclists pedaling through Dalmatia. 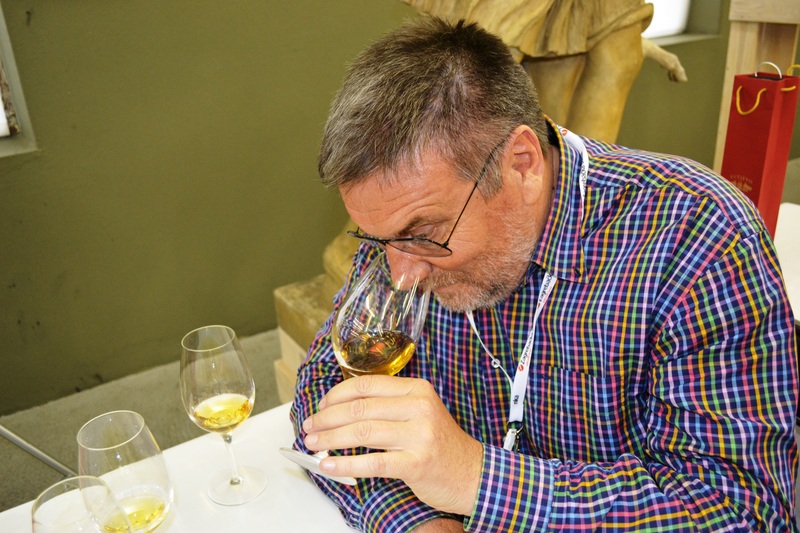 Whimsical tasting notes – presented in 17-syllable haiku format – of Croatian wines tasted at the 2012 International Wine Tourism Conference in Umbria, Italy. A group that usually focuses on “natural wines made by a small number of selected boutique wine producers in the Loire Valley of France” took a turn off the beaten path and discovered the wines of Croatia. A little lesson on the quirks of island dialect and grapes of another name. 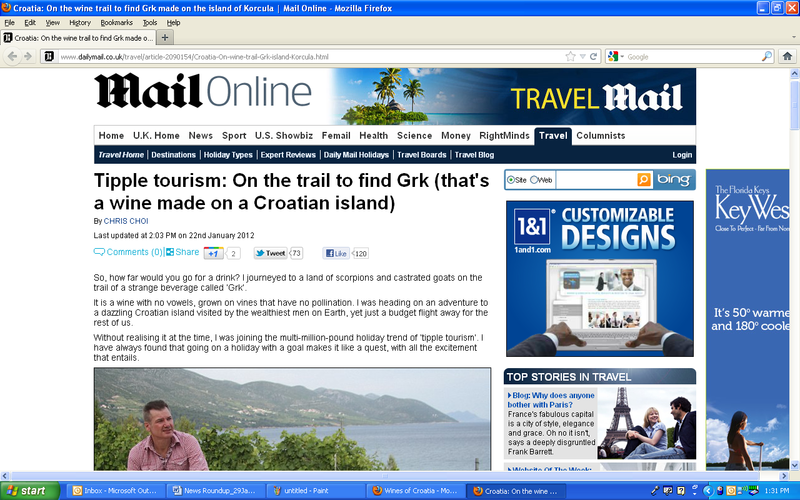 The UK’s Daily Mail writes of “Tipple Tourism” and goes in search of Grk, “a wine made on a Croatian island”. 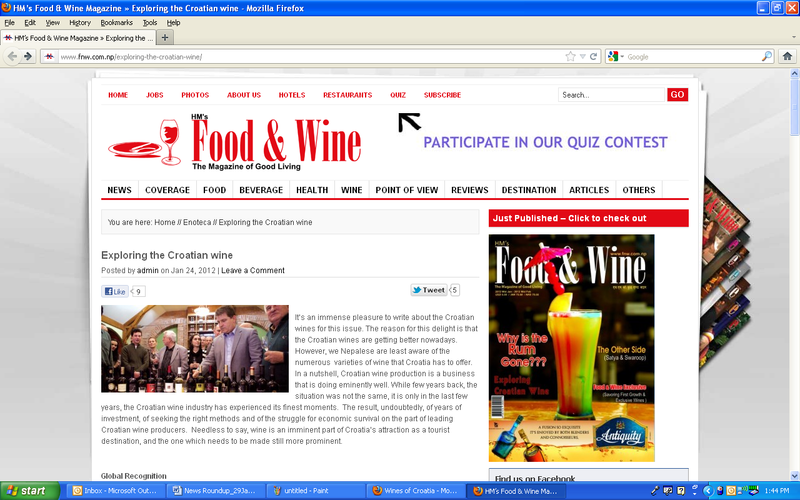 The Wine Sleuth and Thierry’s Wines name Croatian wines and the Malvazija grape of Istria as “ready for prime time”. 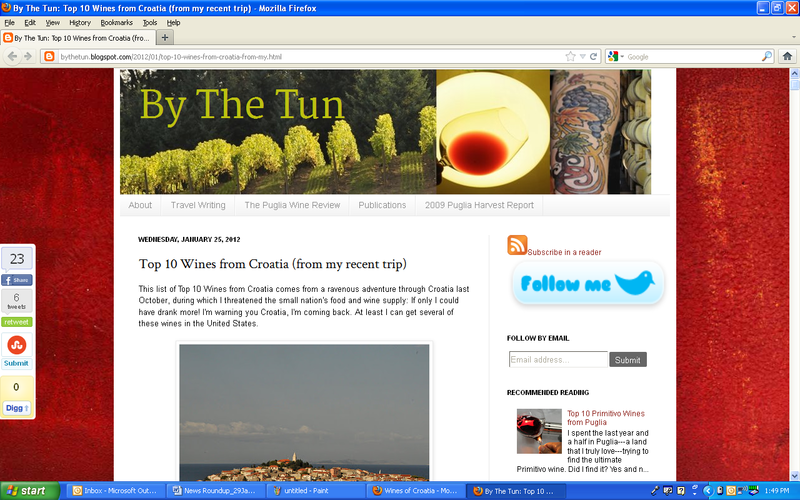 Wine blogger Mattie John Bamman offers his choice for the Top 10 Wines from Croatia. 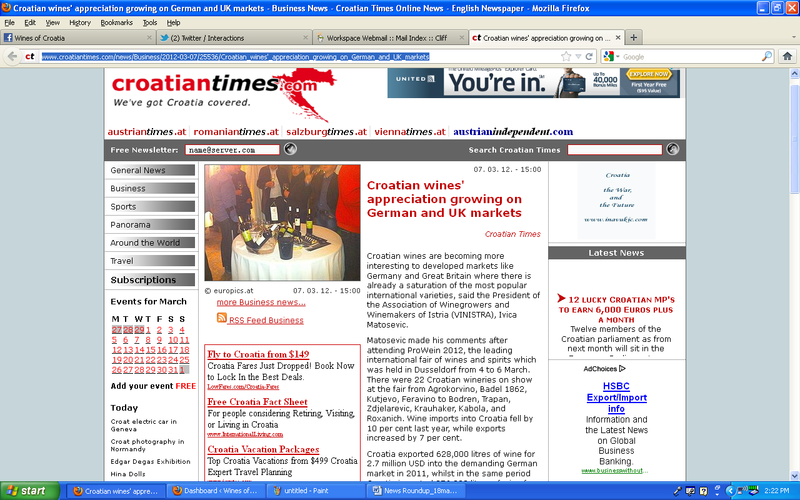 Why new regions like Croatia and their wines are not “novelties” but are “here to stay”. 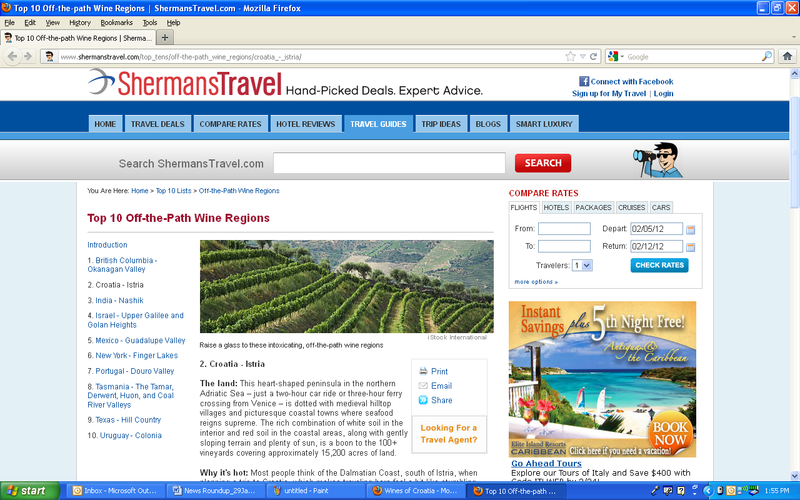 Travel experts Sherman’s Travel names Istria among it’s Top Ten wine regions to visit and includes shout-outs for Franc Arman, Benvenuti, Giorgio Clai, and Kabola wineries. 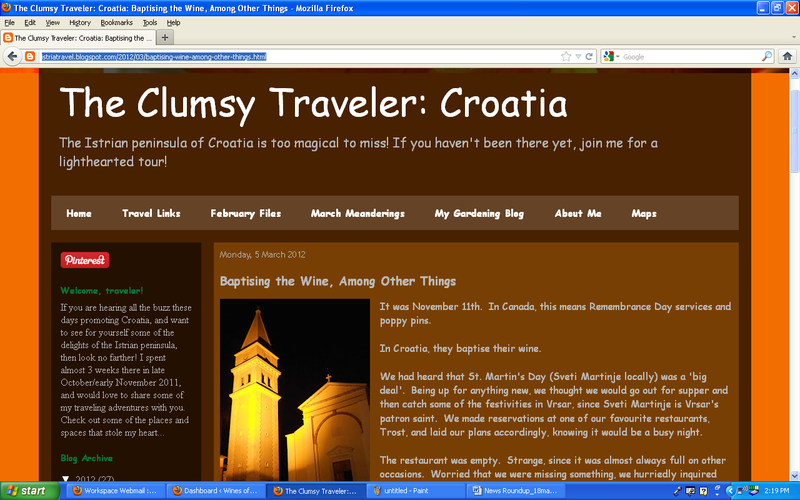 The third installment in a series of photos that celebrate the wine roads of Croatia. This time: the “Golden Slopes”of the Baranja wine-growing hills. 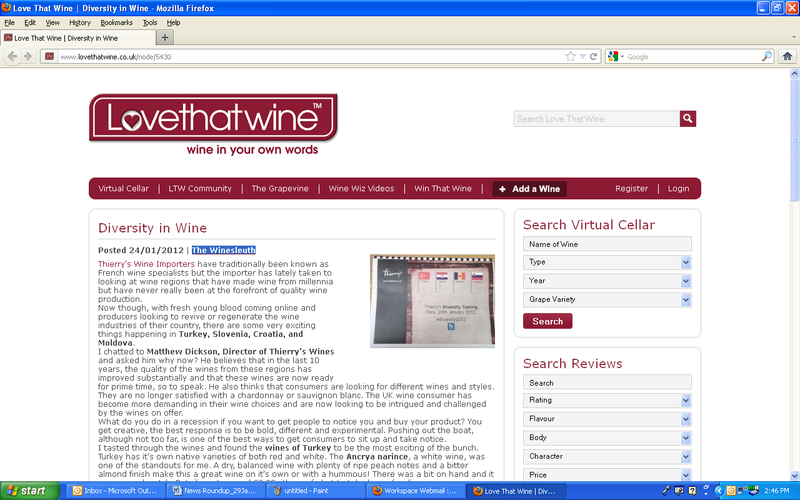 Wine Review: Babica “Štafileo” 2008 from Vuina winery.